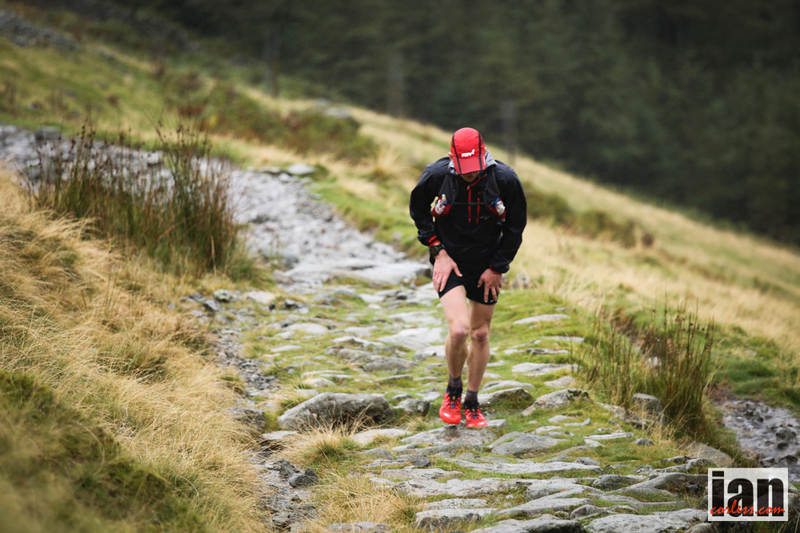 Waking up at 0400 to pouring rain is never a great way to start a day, particularly when you have 55km of tough, challenging and mountain terrain to get over. 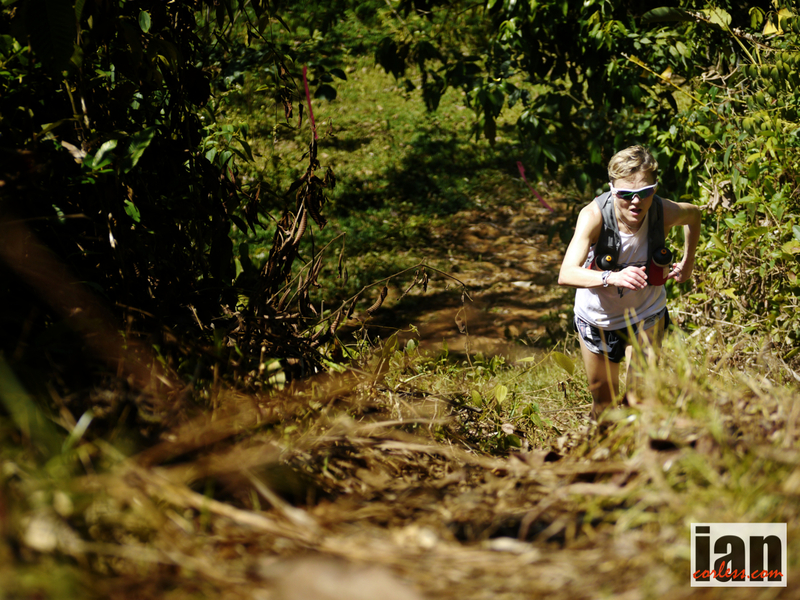 After a couple of recce runs in the days leading up to the race, it became very clear that the USM was going to offer a very tough challenge. Stevie Kremer had flown in from Colorado and was praying for sun. Ricky Lightfoot and Aritz Egea are from Cumbria and the Basque country and ‘it always rains’ they told me, so no need to ask what they hoped for. 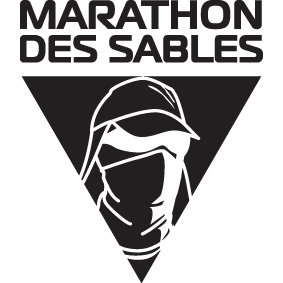 Departing the start line at 0600 on the dot, the runners disappeared down a darkened lane with only head torches and rain for company. 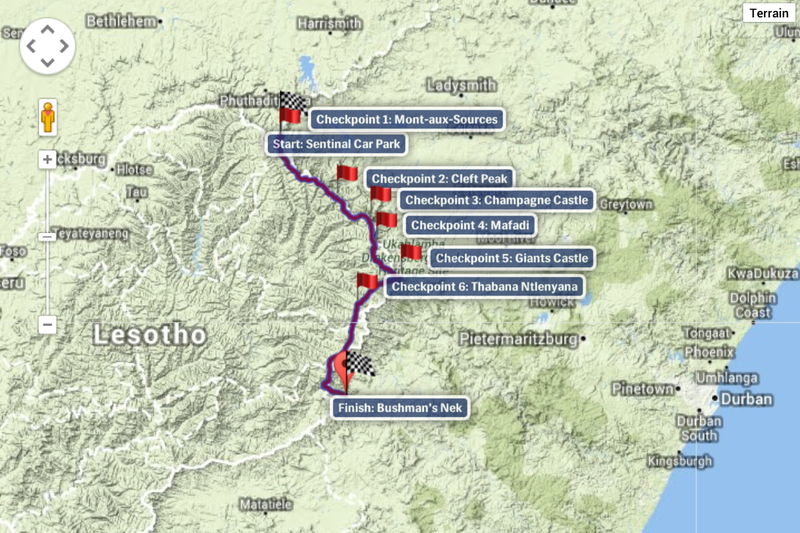 It was a brutal start to the day, just 1km to warm up and then a climb of 1400m. 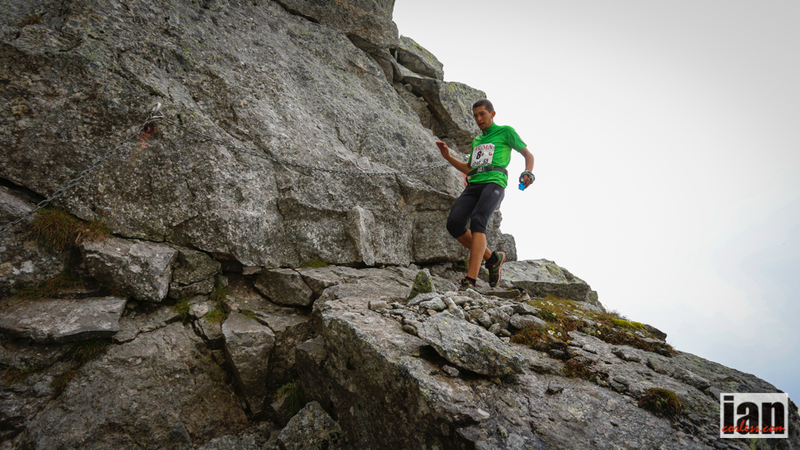 Onwards and upwards the runners climbed and a section of via ferrata at around 6km provided a taster for the final push to the summit. It wasn’t easy going. 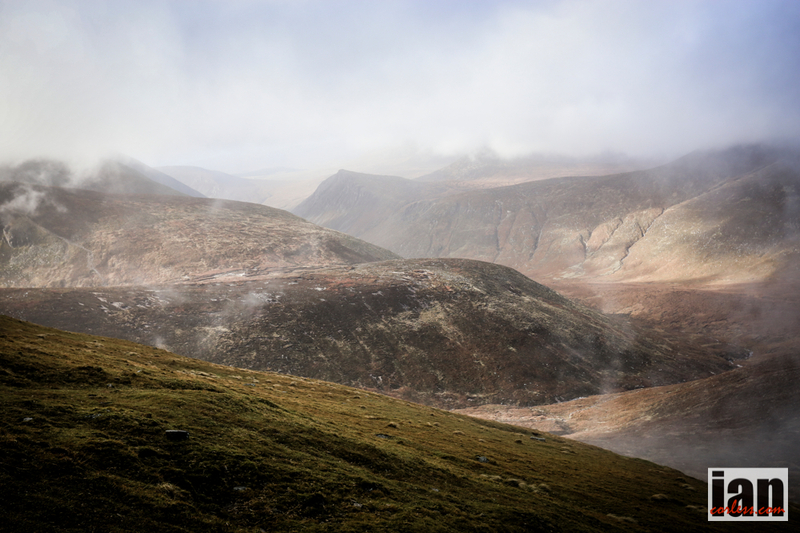 The mist had come in and visibility was poor. 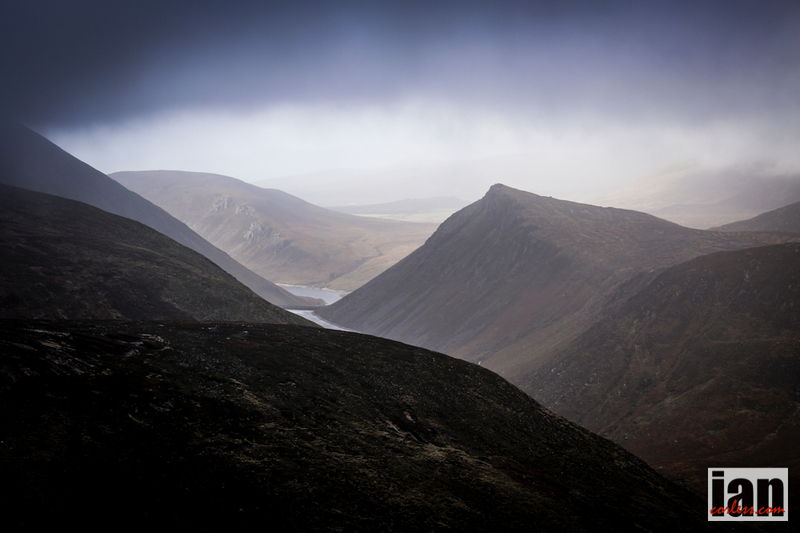 Add to this constant rain and steep gradients. Ricky Lightfoot and Zaid Ait Malek were the first to appear. The contrast between the two striking, Ricky is tall and well built and a fireman by trade. Zaid is Moroccan, small and probably only about 50kg in weight when completely wet through and wearing three layers of clothes. They matched each other step-by-step. 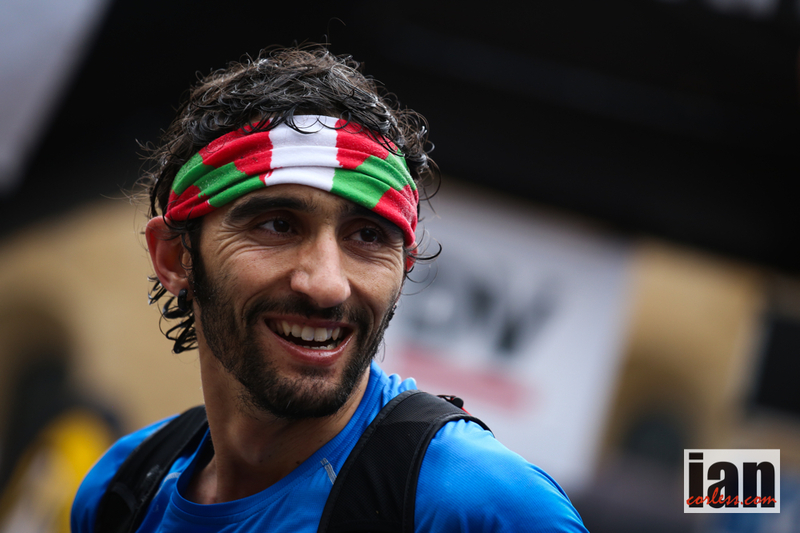 Minutes later, Aritz Egea appeared looking calm and relaxed in the wet and challenging conditions. 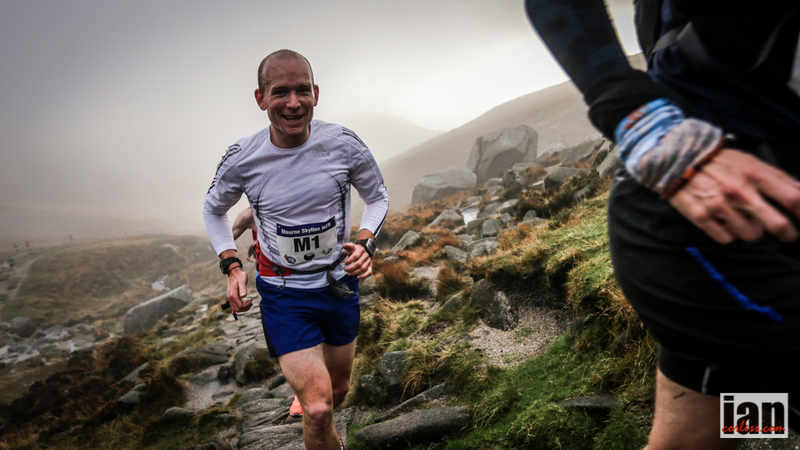 With 90 minutes of the race elapsed, the main male contenders came thick and fast and with them, Stevie Kremer. It was sometime before the 2nd lady Ester Alves came into sight and the writing was on the wall. Stevie was going to need to crumble to loose this race. 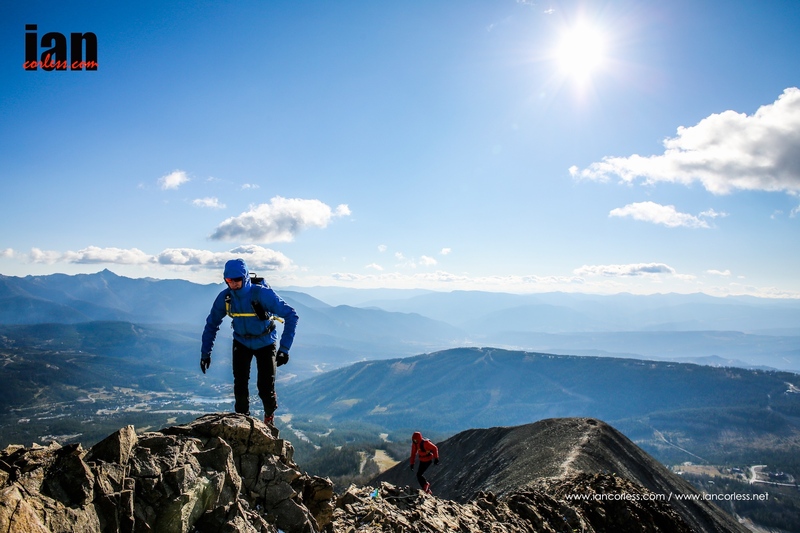 Descending over the summit, an inversion came in allowing the surrounding vistas to come clear. It was quite special to see so many mountains and trails all above the cloud. 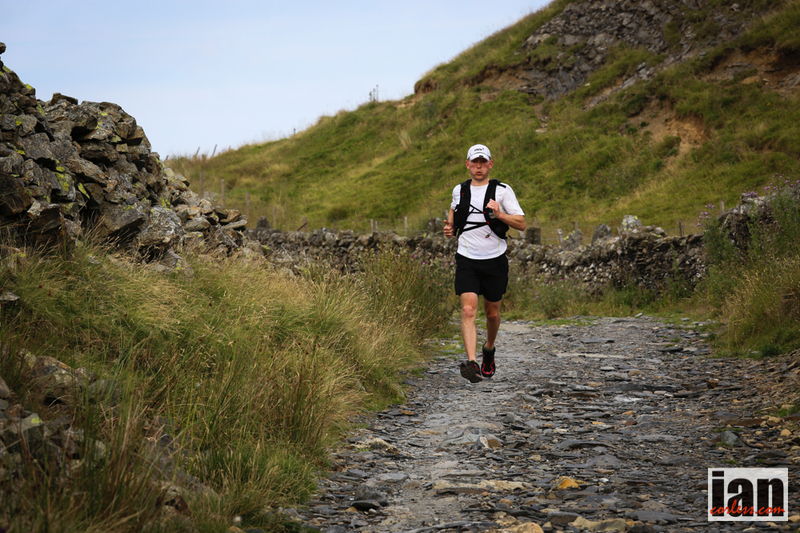 Running the ridges and several more climbing sections, the front of the race didn’t change until a decisive phase around the 30km mark. 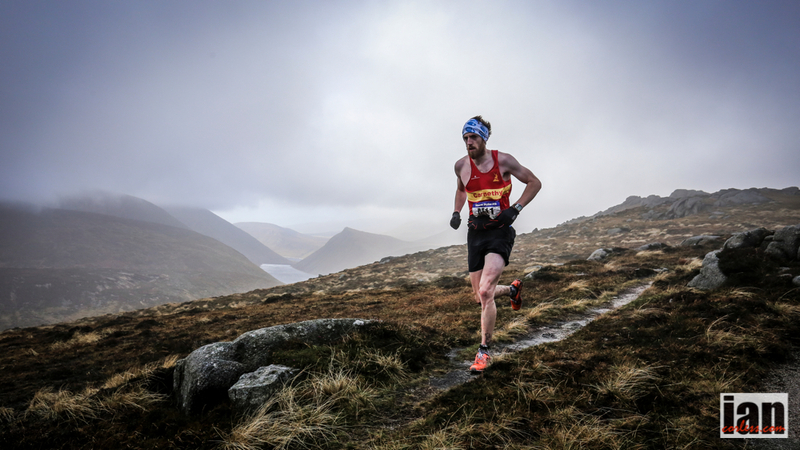 Climbing from the sea and beach, Ricky Lightfoot continued to extend his lead looking strong. However, Zaid Ait Malek looked in trouble and Aritz Egea was closing. 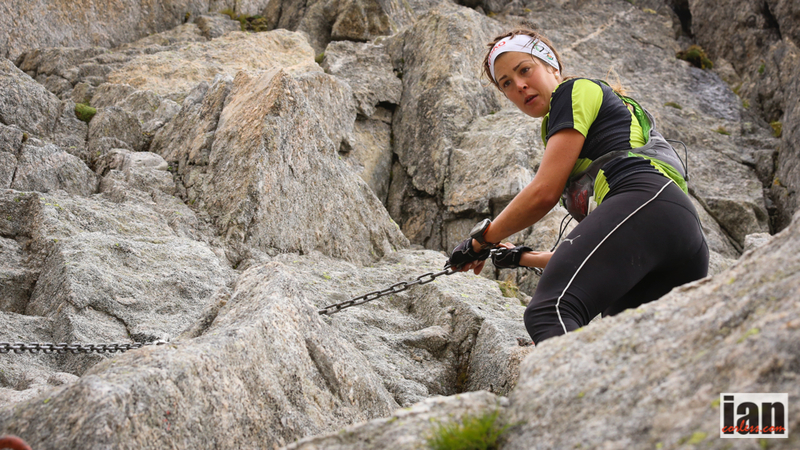 After 5km of ridge running and a technical descent, a riverbed with boulder hopping awaited. 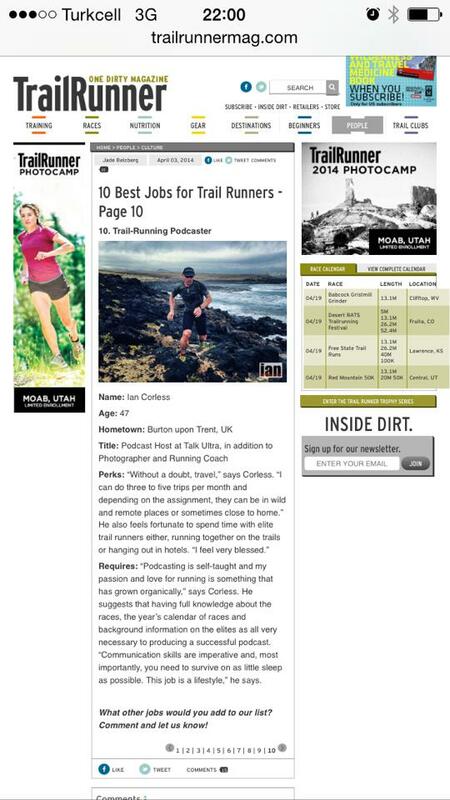 Ricky was long gone but here Aritz moved ahead of Zaid. It looked like a decisive move but as we know, nothing is guaranteed in racing. Behind, Clemente Mora and Nuno Silva were coming to life. 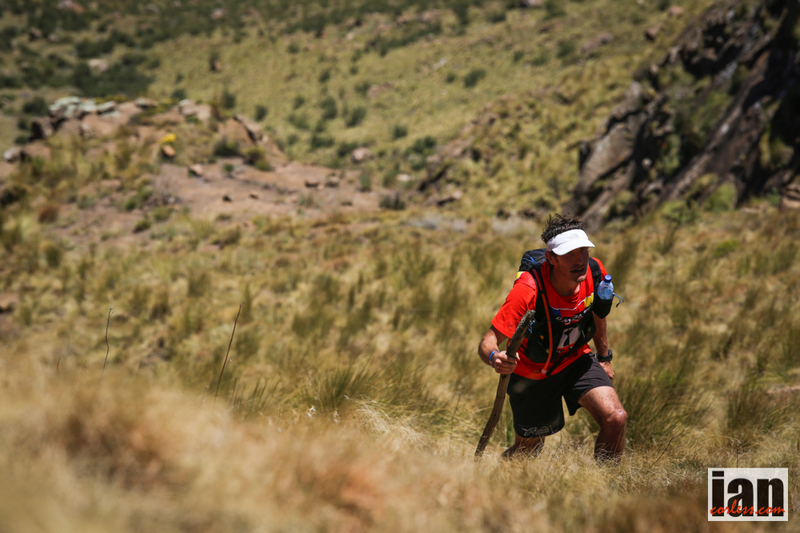 In particular Nuno, he ran over the boulders in the river like a man possessed. But another long climb needed to be ascended and descended before the finish line and here the podium changed. Zaid was having trouble and feeling dizzy. His only option to ease off the pace providing a gateway to third. 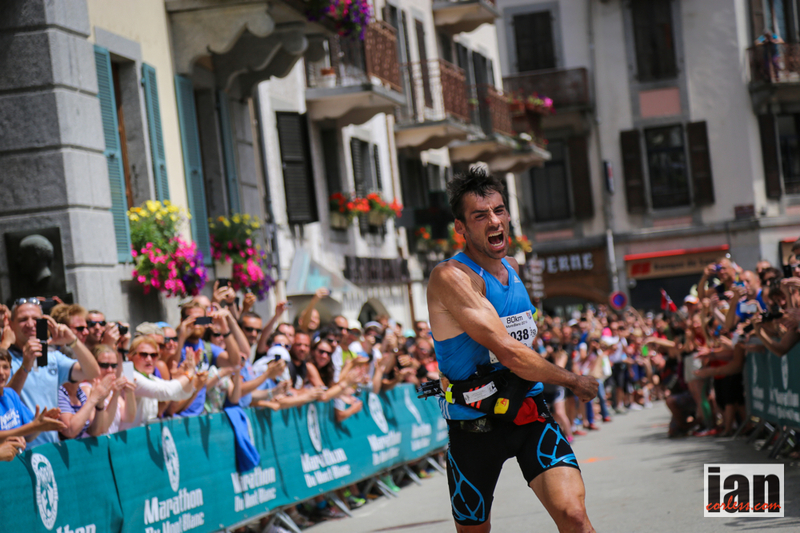 As Clemente and Nuno battled for 3rd, Aritz exploded through a lack of calories and was forced to jog/ walk it into the finish. 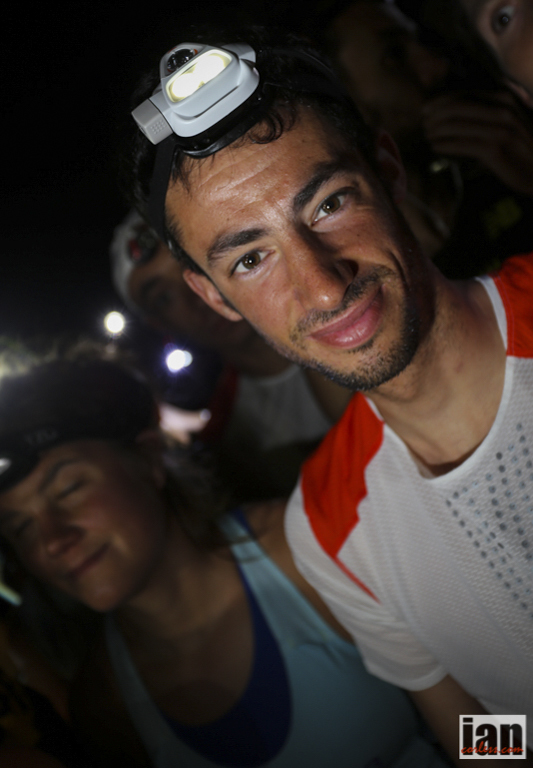 Seizing an opportunity, Clemente proved the stronger and finally pulled away from Nuno and they finished 6:17:22 and 6:24:57 respectively behind Rick Lightfoot’s new course record, 6:09:56. 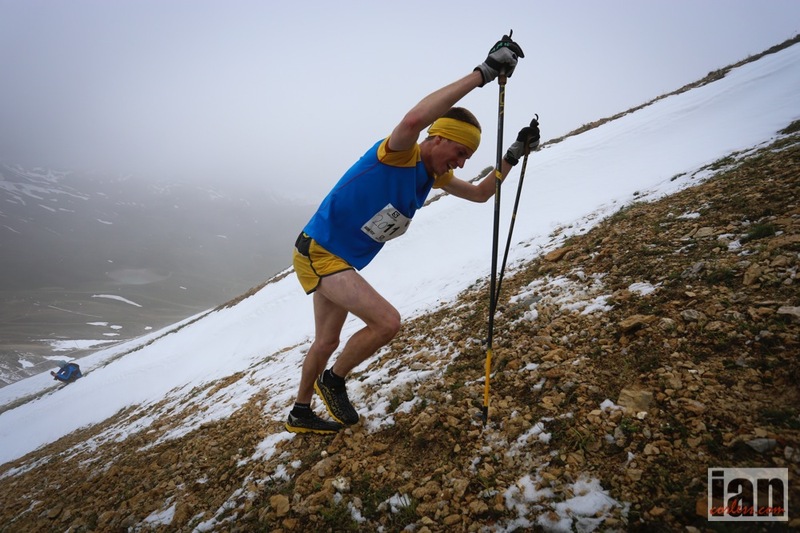 Steve Kremer was almost in another race by the time the riverbed and the final climb came. However, she did say she wasn’t feeling great. This was the longest race she had ever run! 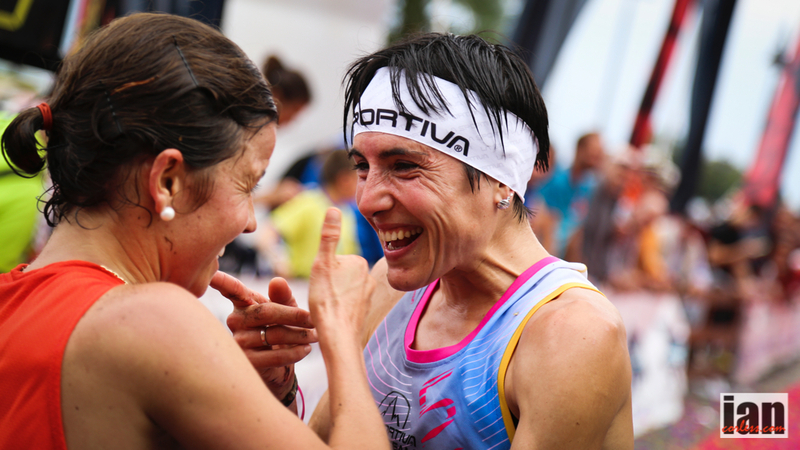 It was academic, Stevie despite what she said ran into the finish looking strong in 7:33:37 almost 45 min ahead of 2nd placed Ester Alves in 8:14:45. 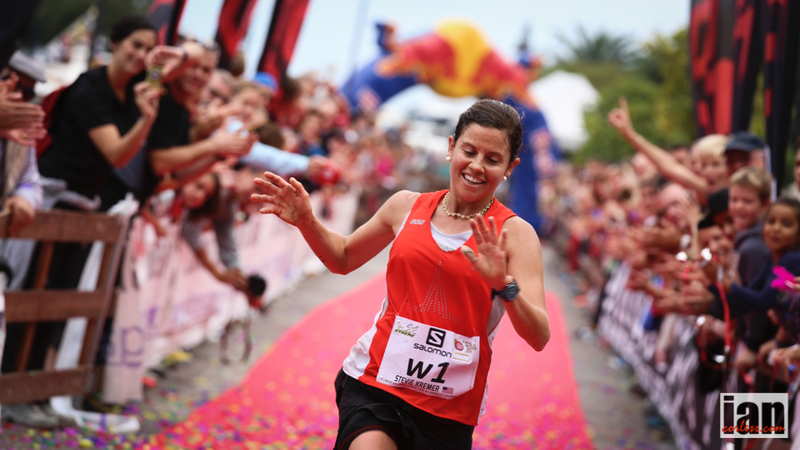 Lucia Franco took the final podium place in 9:01:53. 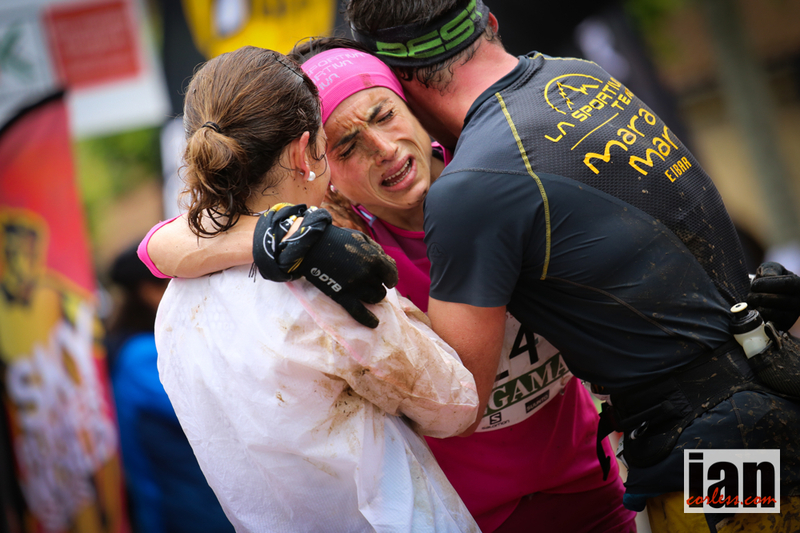 The 2nd edition of the Ultra Skymarathon Madeira has been a great success. 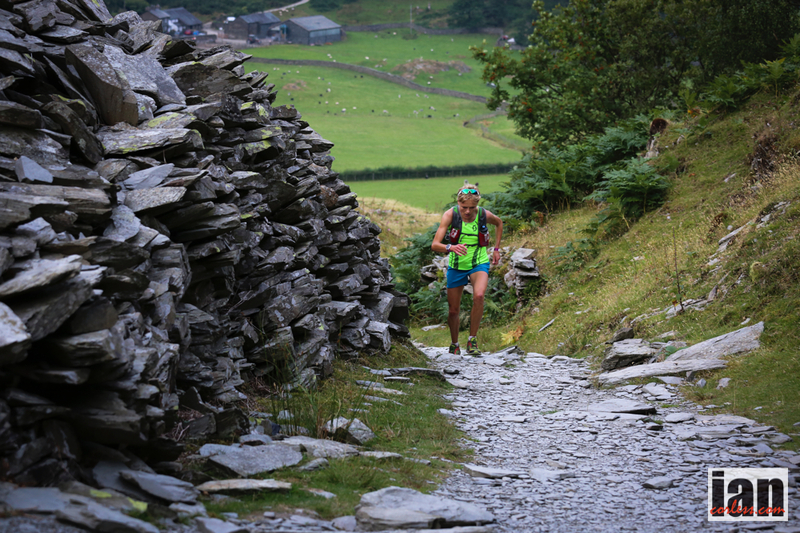 Madeira is an amazing island with a tough and challenging course. 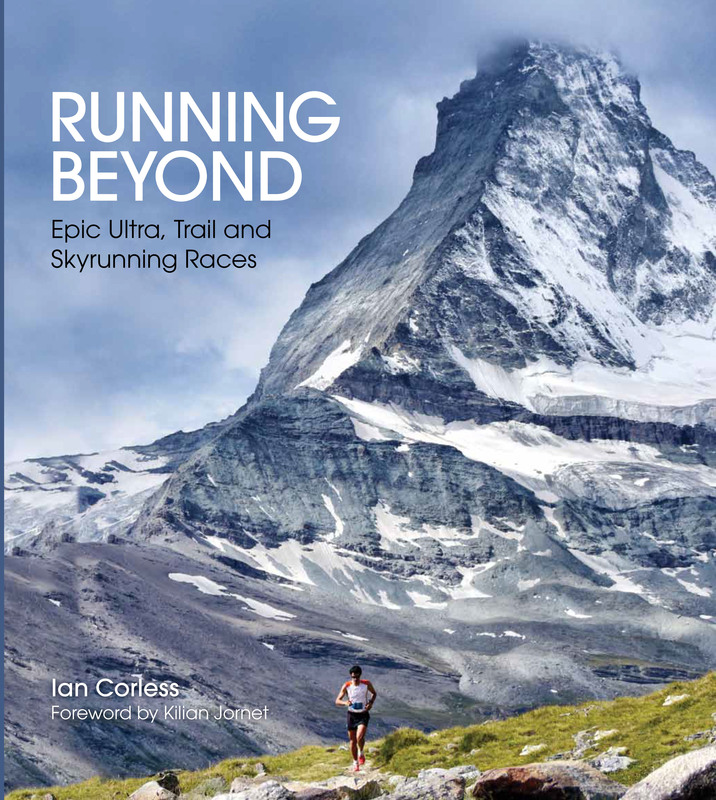 The future looks bright for this new addition to the Skyrunning calendar. 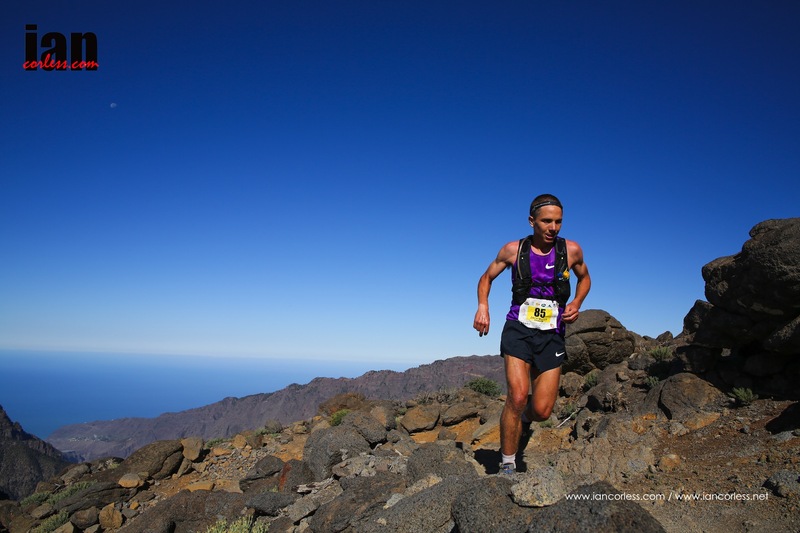 The Ultra SkyMarathon™ Madeira (#USM2015) will take place on the13th and 14th June 2015 on the beautiful island of Madeira, Portugal. 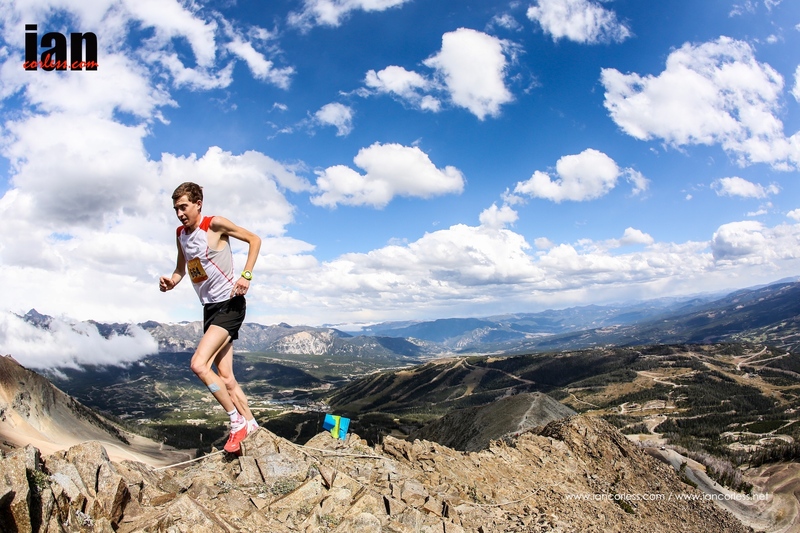 Continuing the growth and expansion of Skyrunning globally, for the first time, USM will see its integration in the Skyrunner® National Series Spain, Andorra & Portugal. 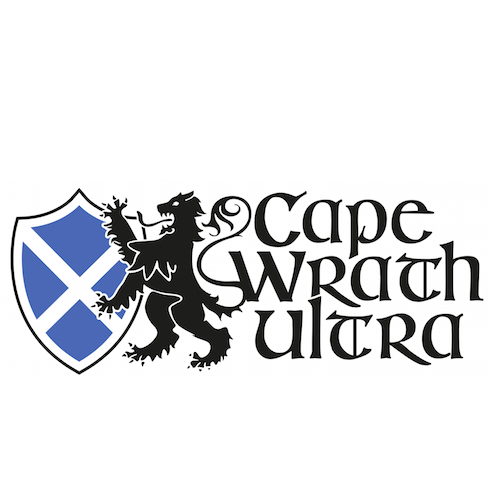 A set of 6 ultra distance races, USM will be the only race that takes place in Portugal. 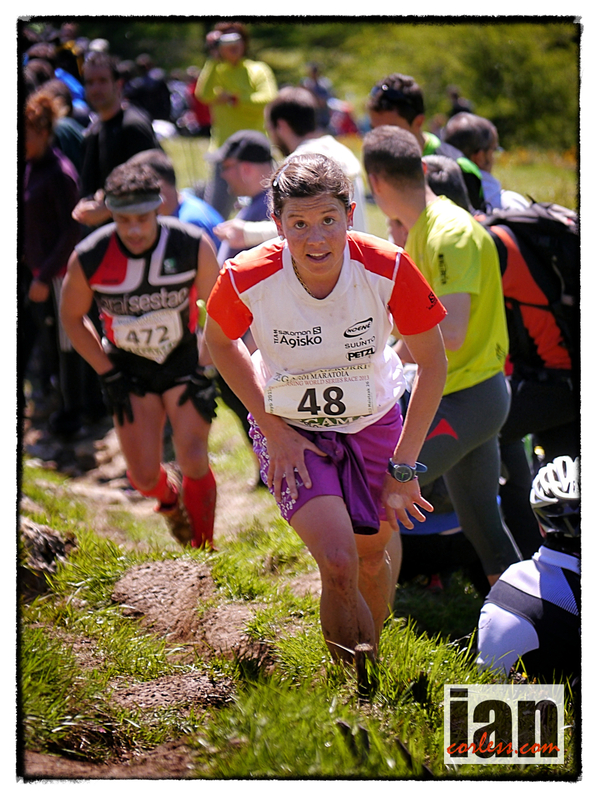 and the Mini Sky Race (MSR 13km 400m D +). 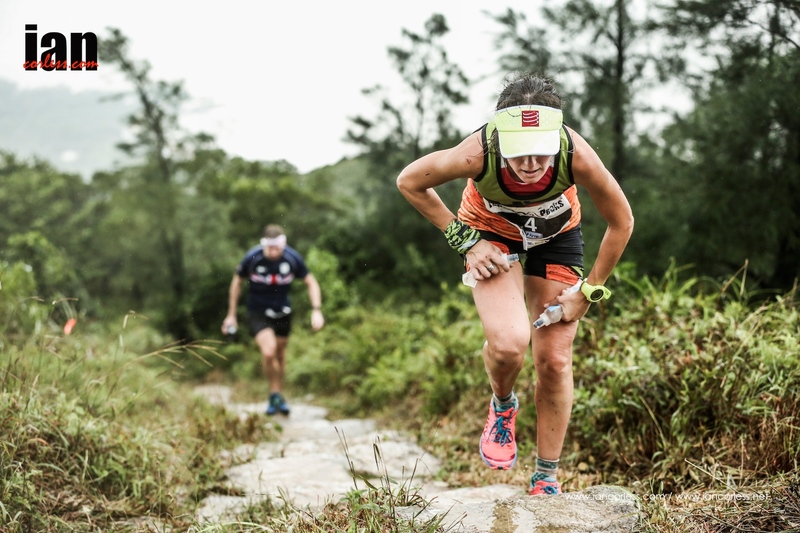 It’s going to prove to be an exciting weekend of racing as runners from all over the world will travel to Madeira, not only to race but also to soak up the beautiful scenery, talk with the locals and indulge in the excellent food that only Portugal can offer. 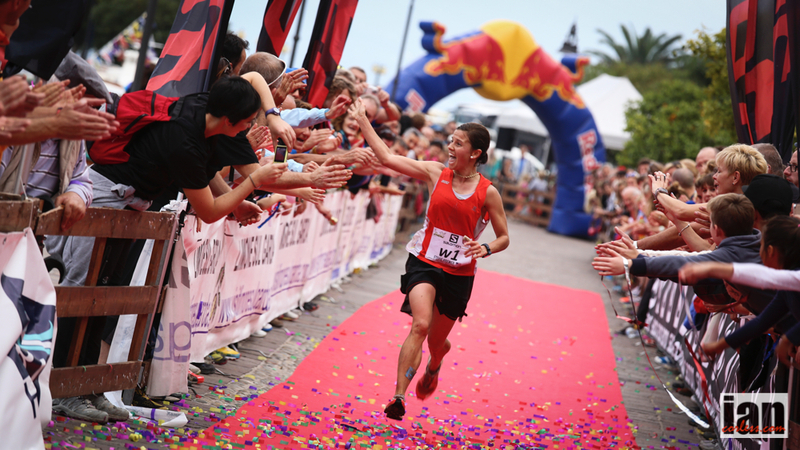 Stevie Kremer needs no introduction to Skyrunning aficionados and her incredible 2014 and Skyrunner® World Series title has recently been followed up with a great start to 2015 with victory at the Buffalo Stampede in Australia. 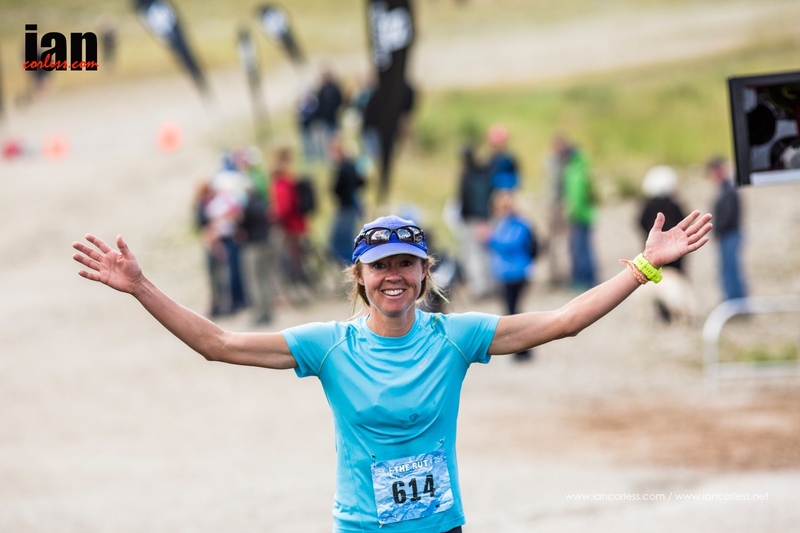 This lady from Crested Butte is going to take some beating. 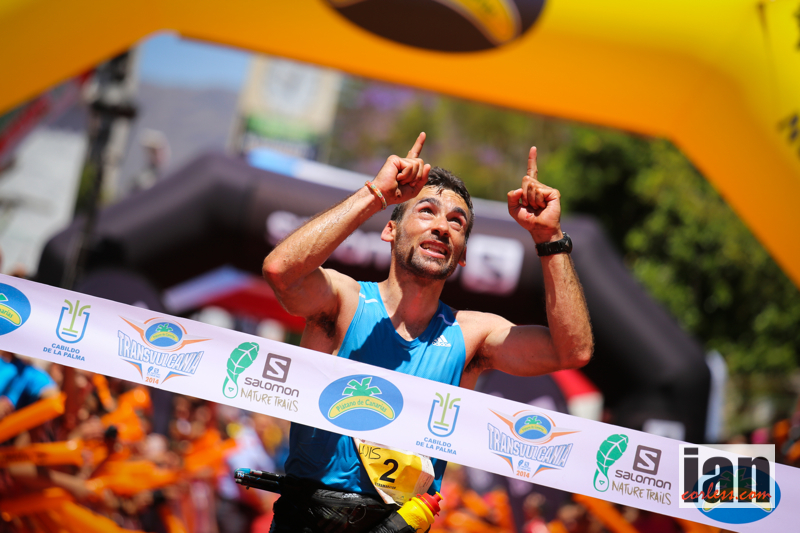 Ricky Lightfoot is the 2014 IAU World Trail Champion, winner and course record holder for the ‘Otter’ in South Africa and victor and course record holder for the DoDo Trail in Mauritius. 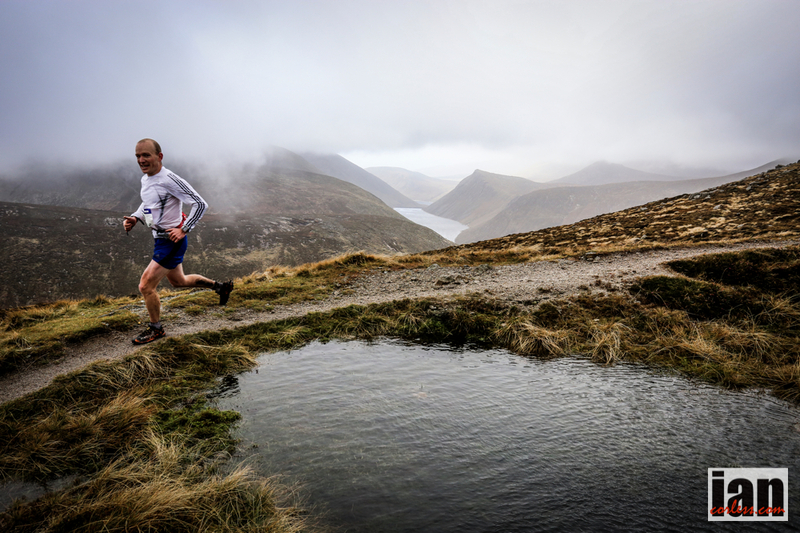 On his day, he is an incredible force in any fell, trail, mountain or Skyrunning event. 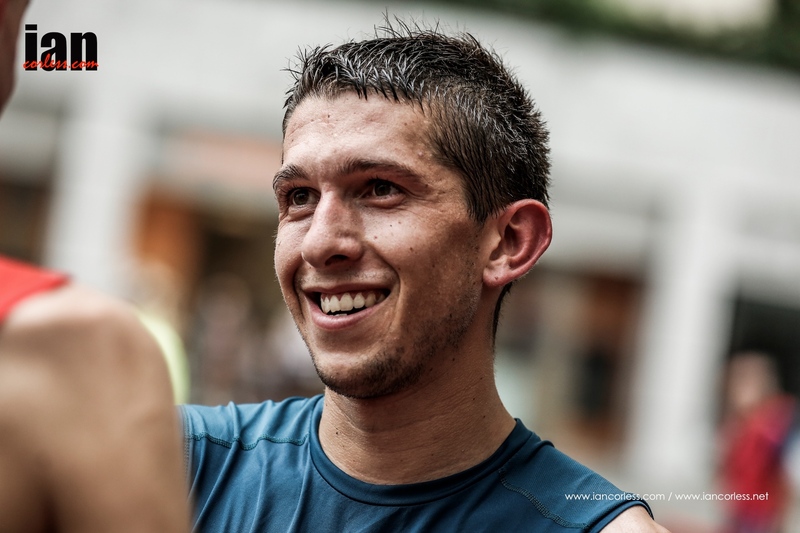 Zaid Ait Malek burst onto the Skyrunning scene in 2013 with a top placing at Zegama-Aizkorri. 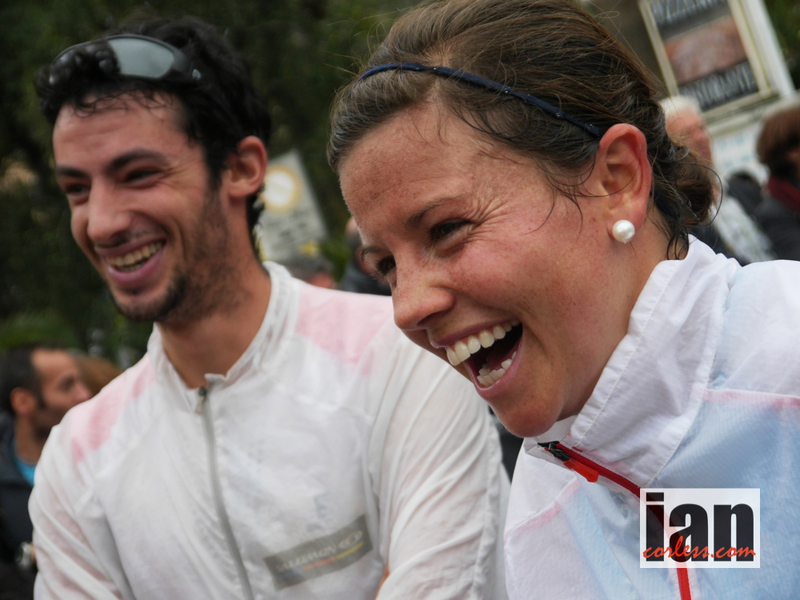 His enthusiasm, big smile and huge presence are a great contribution to any race. 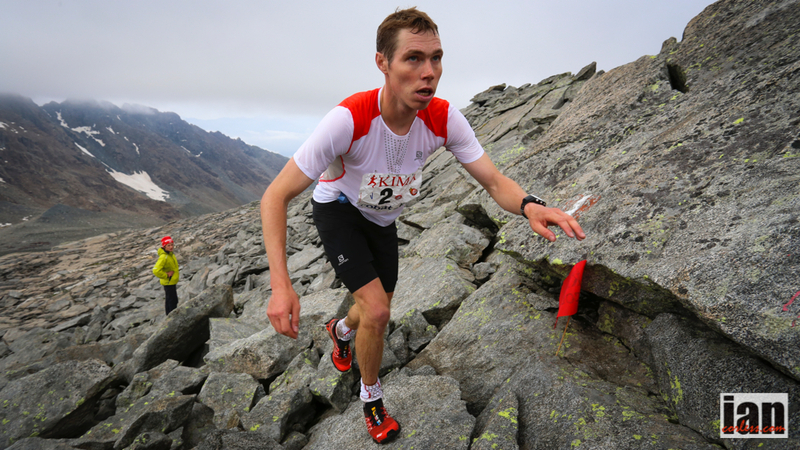 His victory at Matterhorn Ultraks in 2014 was a highlight and for sure, he will be looking for a podium place in Madeira. 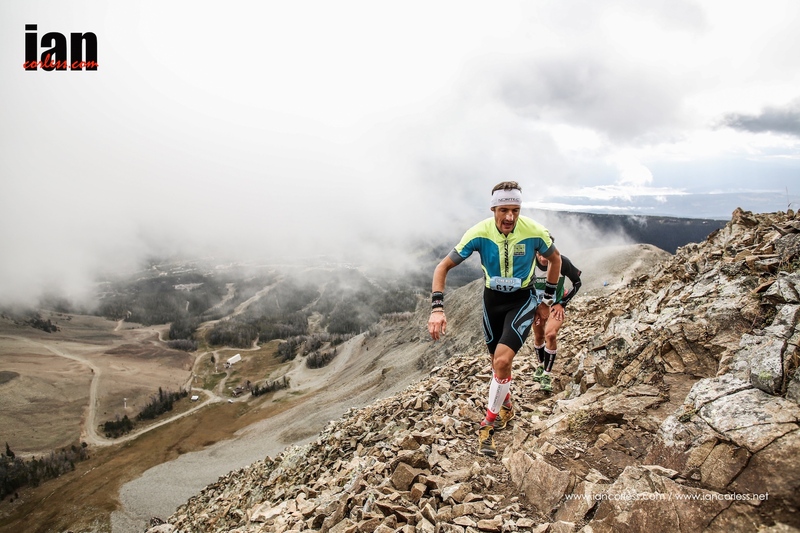 Aritz Egea is a ‘Sky’ distance specialist and his ability to climb and descend with equal ability has seen him dominate races all over the world. 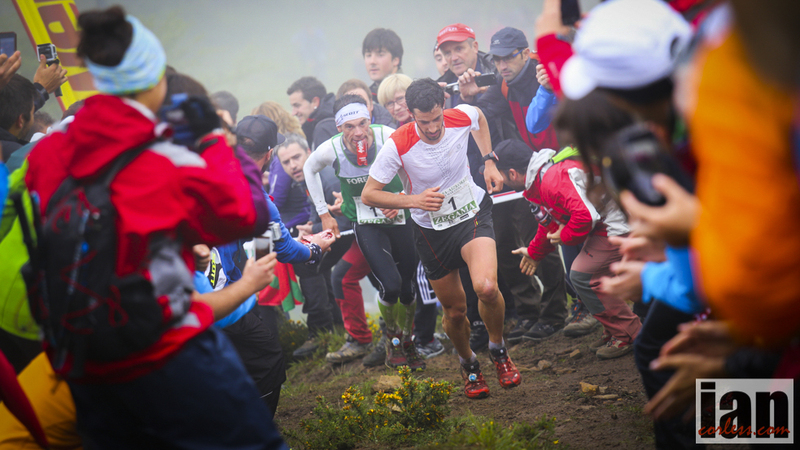 A consistent top-10 finisher he will be looking to gain valuable points in Portugal. 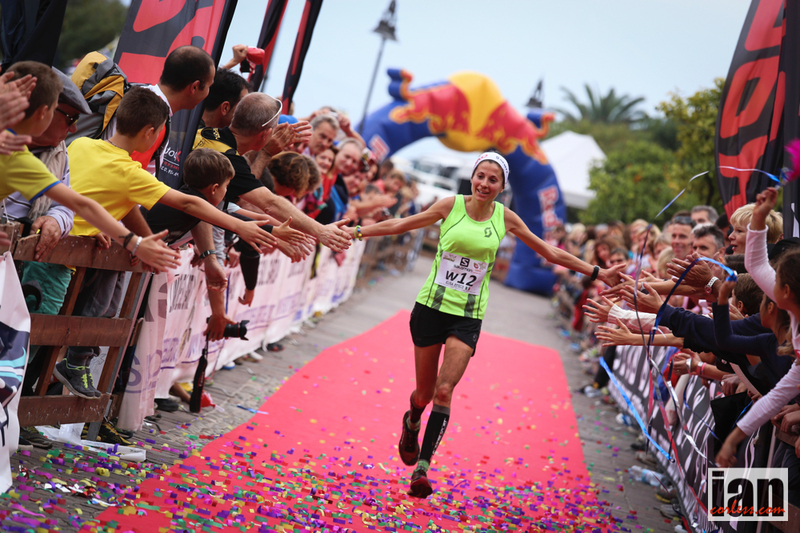 Alessandra Carlini really made a mark on the Skyrunning circuit in the past two years and she has proven, that despite living in the flat lands next to the sea, she has an ability to climb and descend with the best. 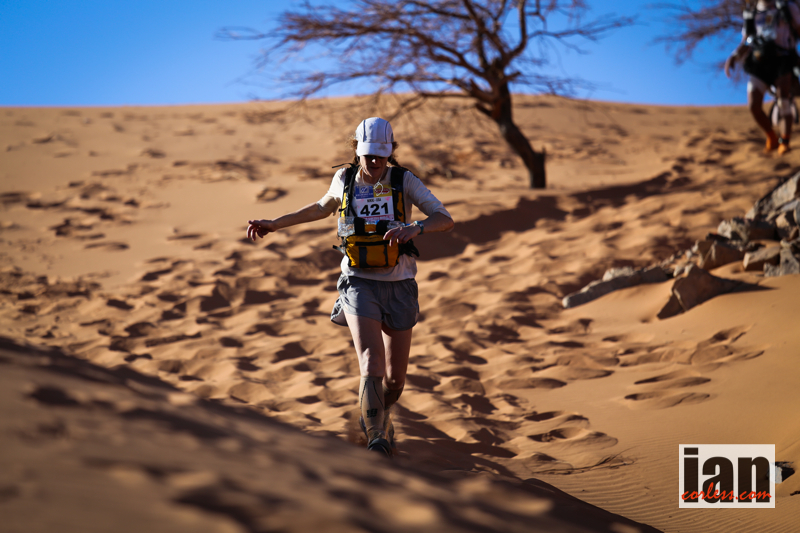 Her performances improve when the races get longer, so, expect Alessandra to turn a few heads in the 55km race. 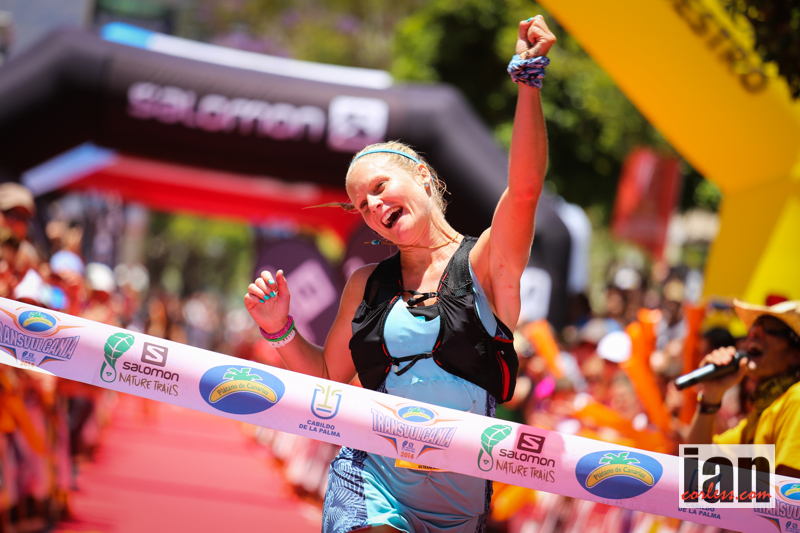 It’s not too late to enter any of the races in Madeira and a special discount is available if you enter before the end of April. What you waiting for? 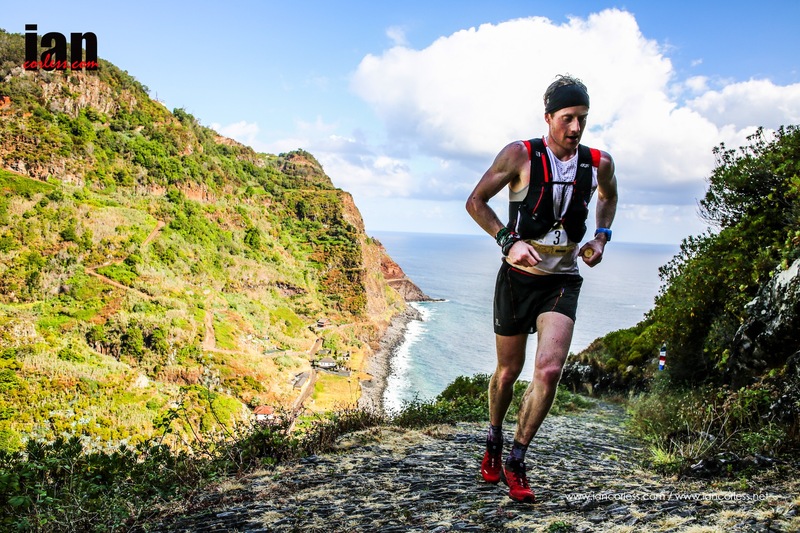 Join some of the worlds best on the beautiful trails of Madeira. Santana is a northern municipality of Madeira Island, renowned since 2011 as World Biosphere Reserve by UNESCO. It is known by the typical A-thatched houses, symbol of Madeira and Portugal and offers a wide variety of surroundings such as the laurel forest, mountainous areas surrounding Pico Ruivo and São Jorge hills and the outstanding cliffs of the north of the island. 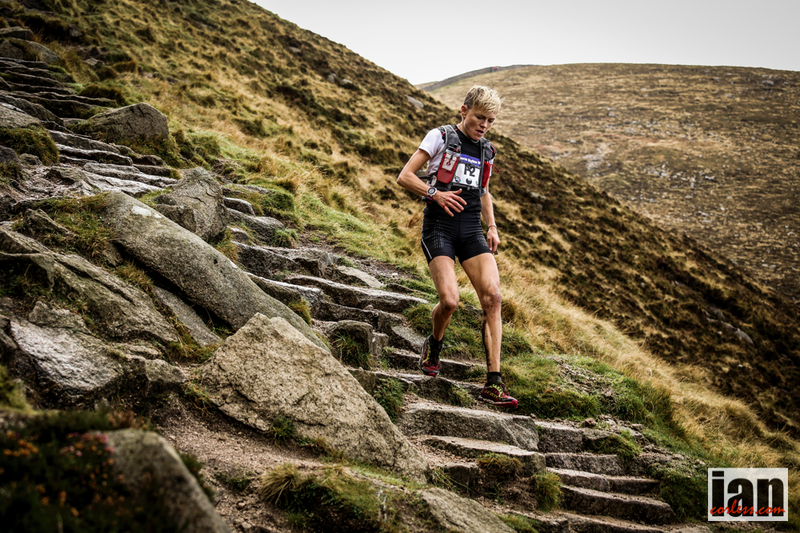 This is episode 73 of Talk Ultra and on this weeks show we speak with Skyrunner World Series Champ and Mourne Skyline winner, Stevie Kremer. 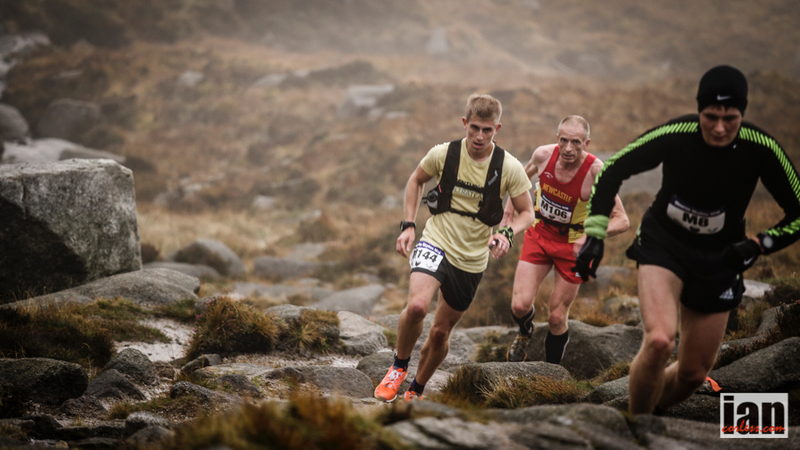 Kim Collison tells us all about his running and his great 2014 season. 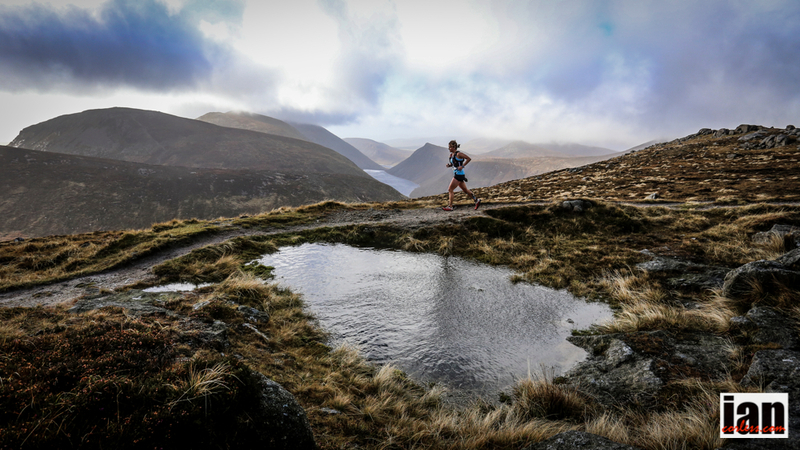 Landie Greyling discusses running in South Africa and the up and coming Salomon SkyRun. 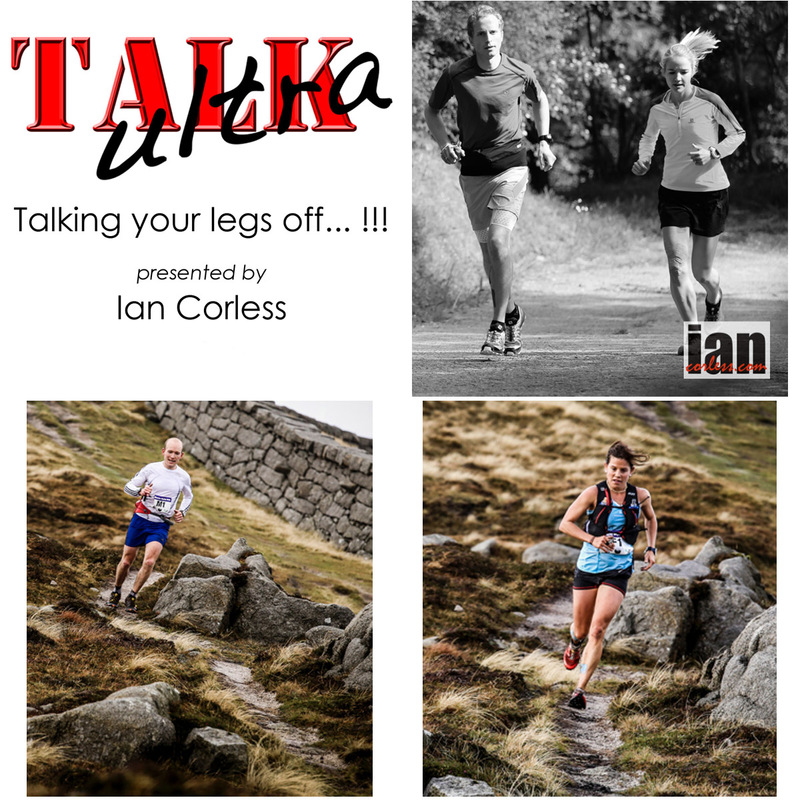 In Talk Training it is episode 3 of our navigation special with Charlie Sproson, the News, a Blog, Up & Coming races and Speedgoat Karl talks busting quads. All good things must come to an end… at least for this year! 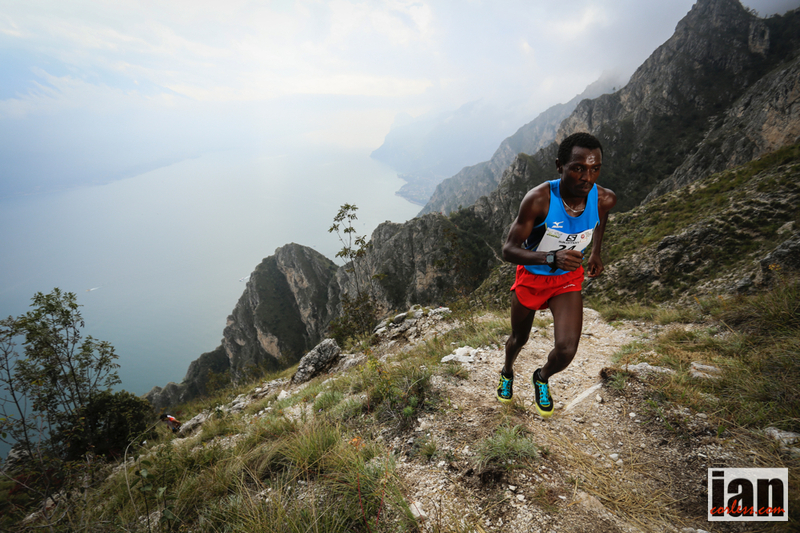 The 2014 Skyrunner® World Series concludes this weekend in the mountains that surround Lake Garda. 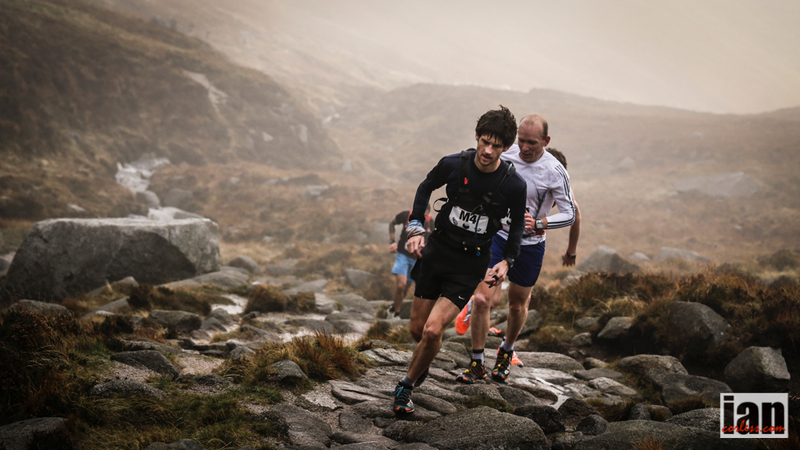 On Friday the VK will commence as the light fades and darkness surrounds the mountains. 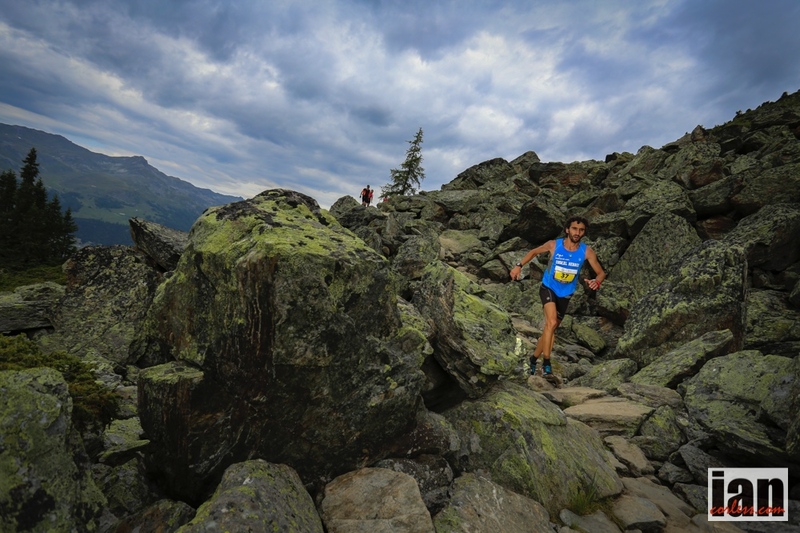 Sunday the SKY race takes place over a course of 23.5km’s and 2000m +/-. 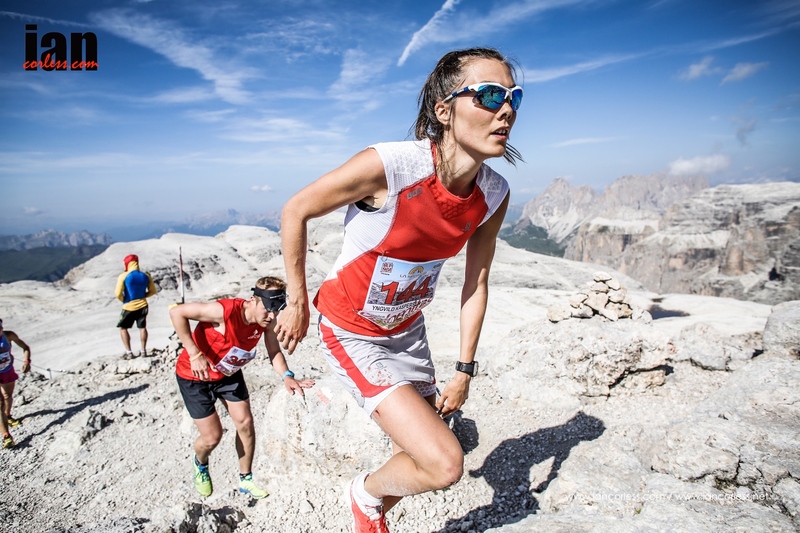 Two races, one great weekend of running and at conclusion we will have newly crowned male and female Skyrunner® World Series champions for both VK and SKY distances. 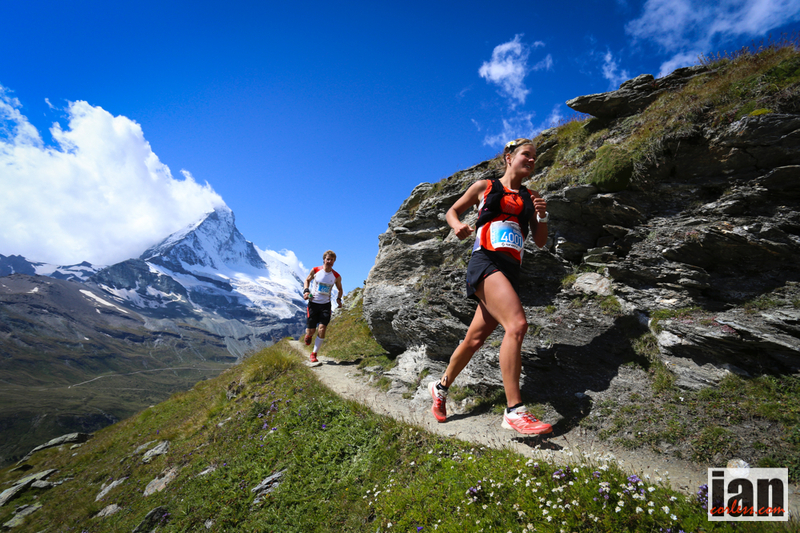 As one would expect, these two races are attracting a who’s who of the Skyrunning world. 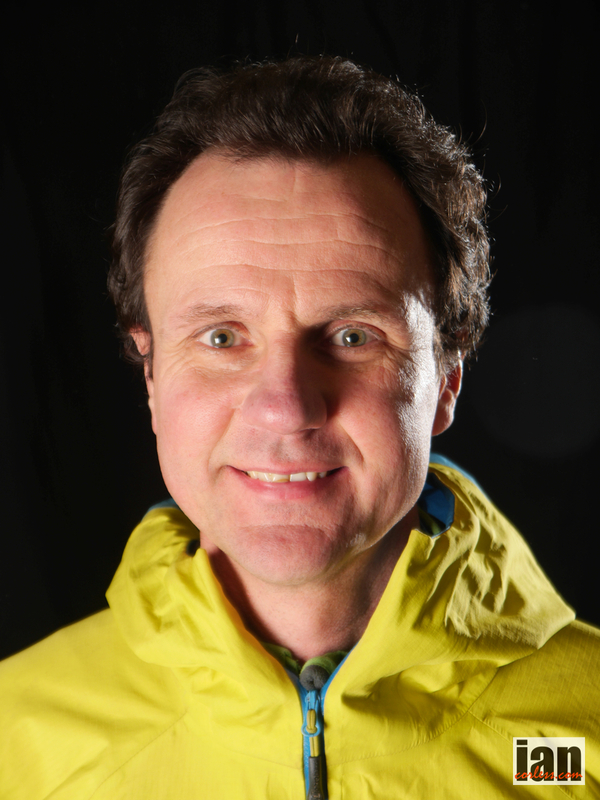 In the VK, La Sportiva and Salomon are fielding two very strong teams. Illuminated by the glow of head torches, a very interesting battle will unfold. 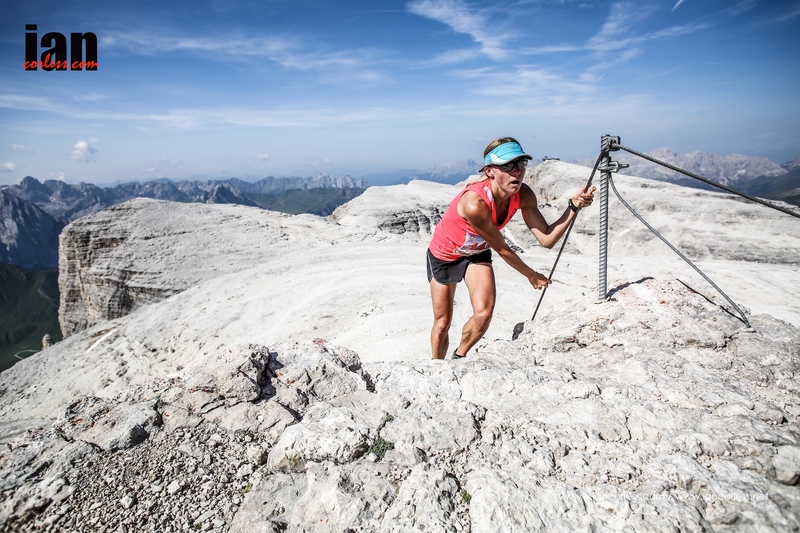 Urban Zemmer is the outright favourite after winning Limone Extreme in 2013 and in the process winning the Skyrunner® World Series. 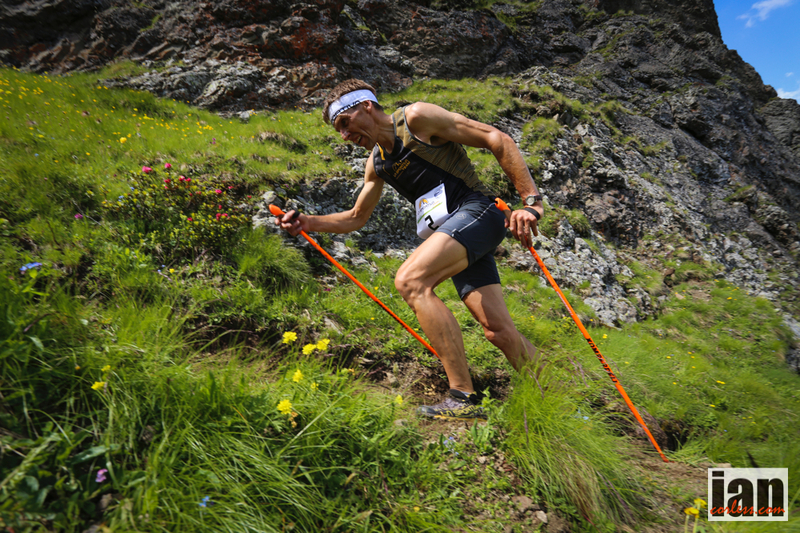 However, La Sportiva teammates, Nejc Kuhar, Nadir Maguet, Marco Facchinhelli and Marco Moletto will be looking to pull rank and gain valuable points. 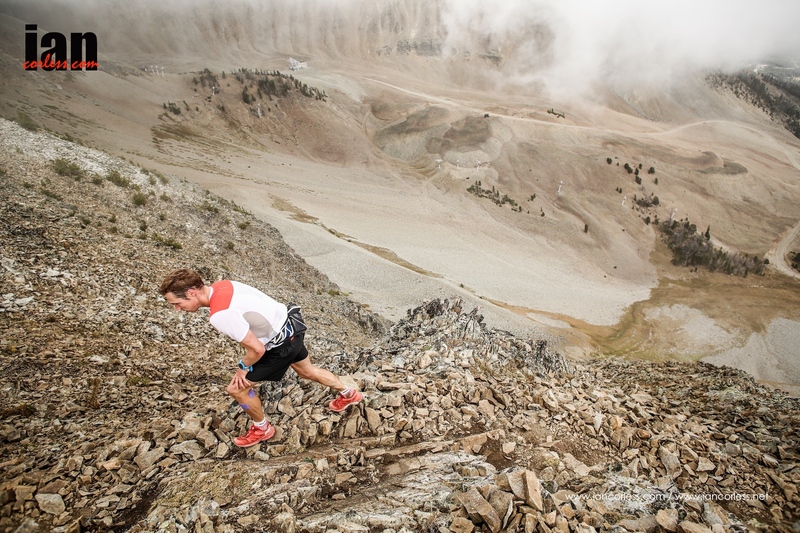 Kilian Jornet has been training hard and as we all know, can never be ruled out when it comes to head-to-head racing uphill. 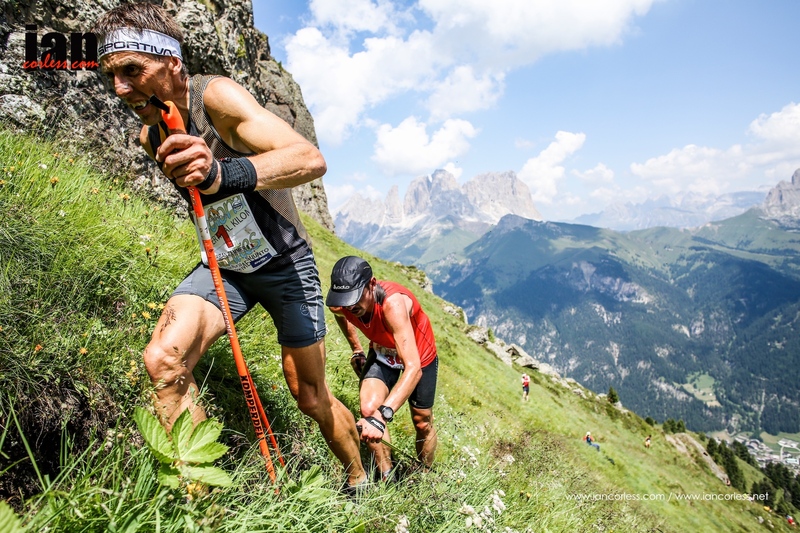 Add to the mix, Marco De Gasperi and Thorbjorn Ludvigsen and the Limone Extreme VK looks set to be a classic. 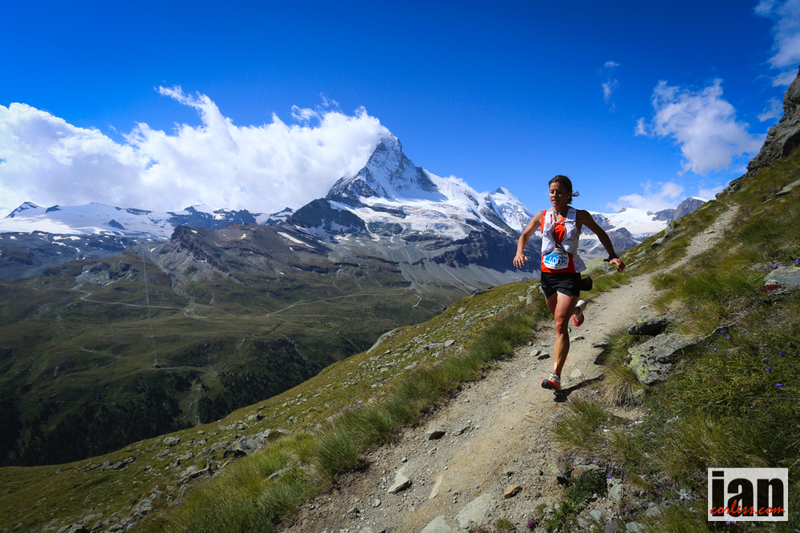 For the ladies, 2013 Skyrunner® World Series champion, Laura Orgue, like Zemmer is the outright favourite. 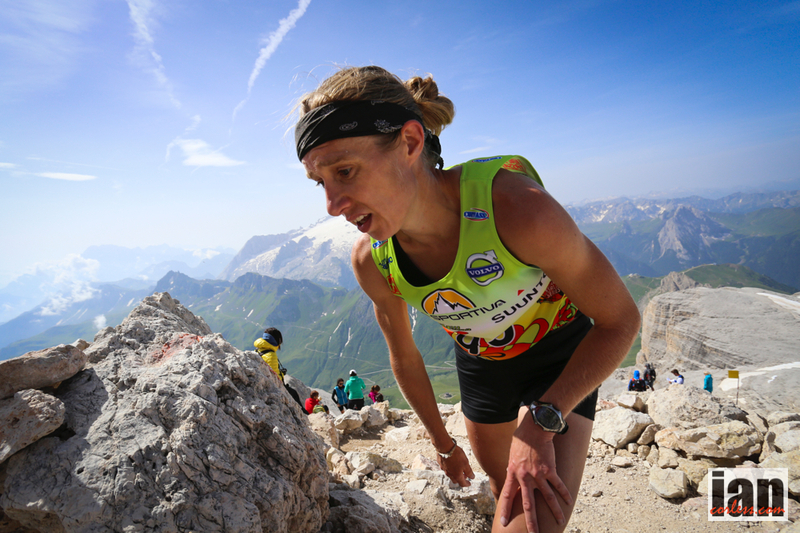 This lady has been unbeatable uphill in 2013 and I don’t think Limone will be any different. 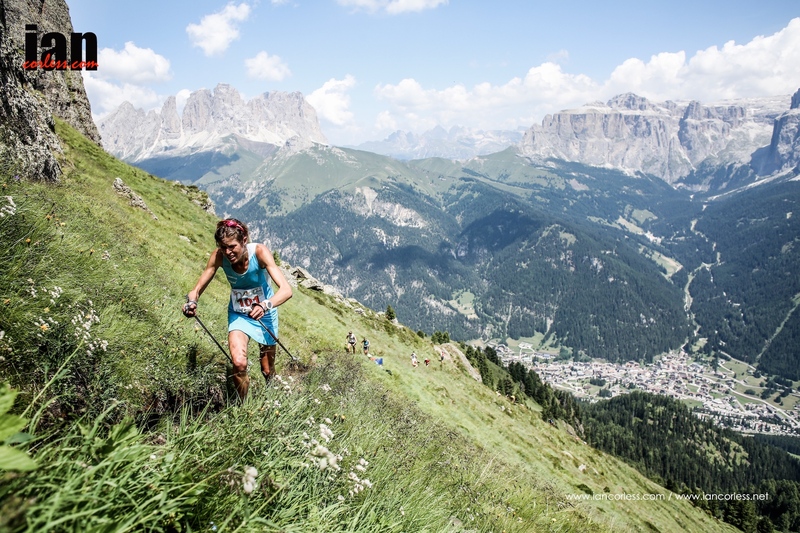 Stevie Kremer will push and push and look to gain an advantage as will Christel Dewalle, Antonella Confortla, Emelie Forsberg, Sara Longoni, Francesca Rossi, Beatrice Delflorian and surprise entrant, Julia Bleasdale. Julia is an exciting prospect from the UK and I am extremely keen to see how this Olympian performs. 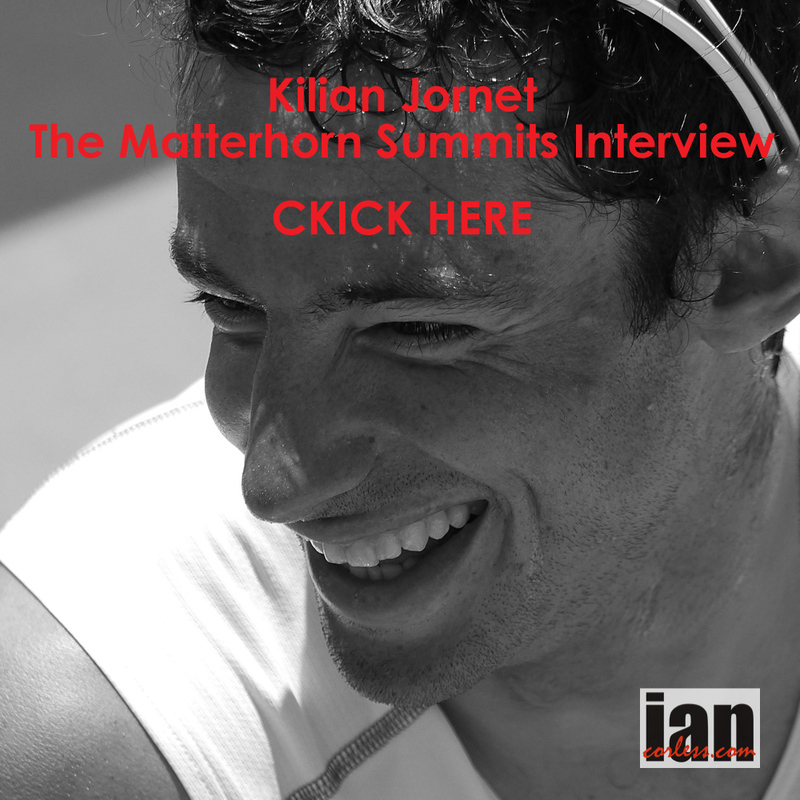 Do you want to bet against Kilian Jornet? No, me neither. 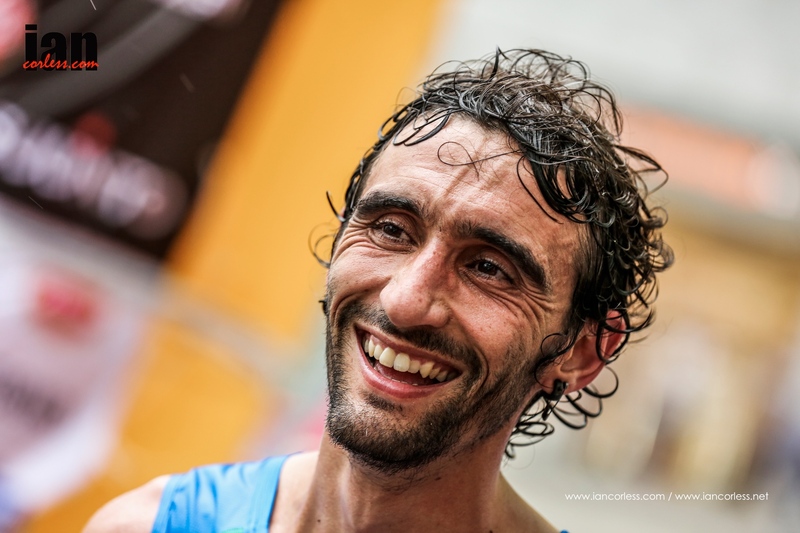 Kilian has excelled in 2014 and other than placing 2nd to Luis Alberto Hernando at Transvulcania; the Catalan has won every rave (VK’s excluded). 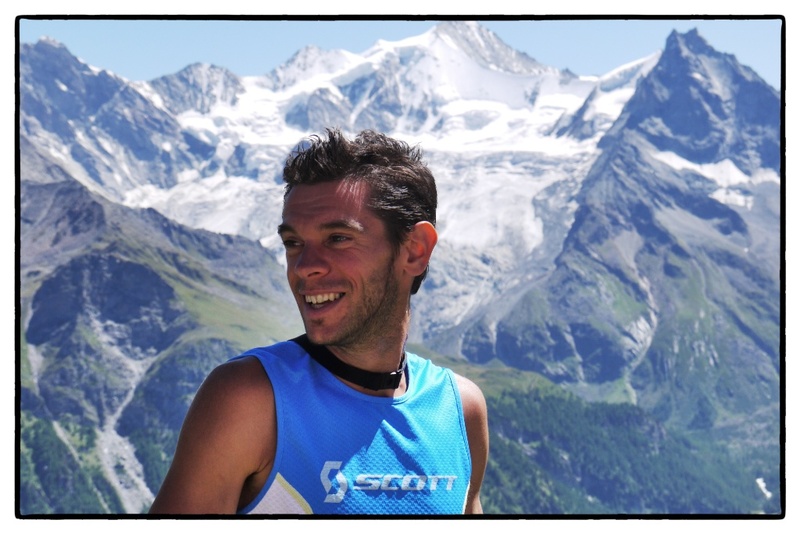 Kilian has been training hard and Limone will see one chapter close for 2014 before the transition to skis and another Summit attempt in December. 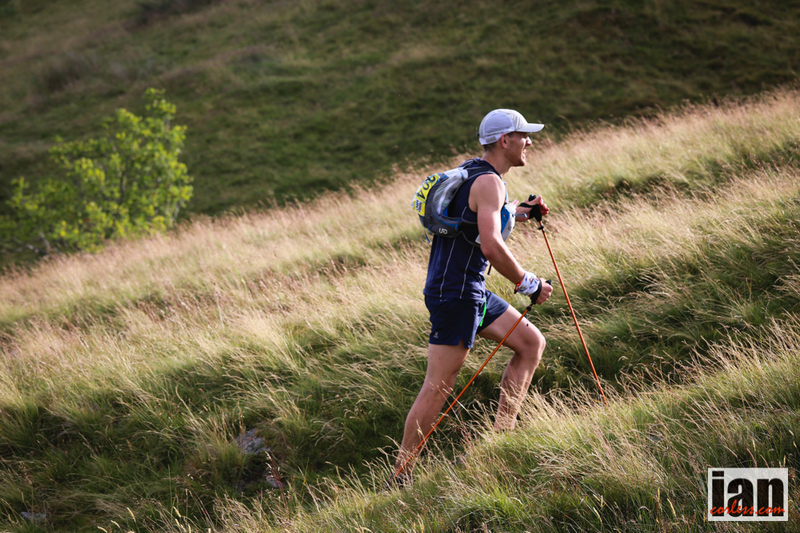 Marco De Gasperi if fit is potentially the one person to push Kilian all the way to the line and if firing on all cylinders, may well take the glory away from the Salomon runner. I personally have waited all year for this head-to-head to happen and the prospect is exciting. 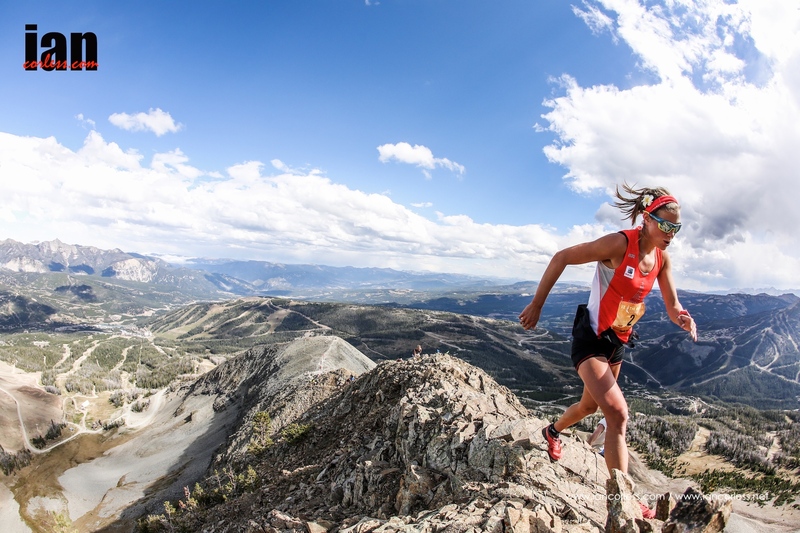 Waiting in the wings is a plethora of Skyrunning talent who will be looking to upset the apple cart and history shows that anything can happen. 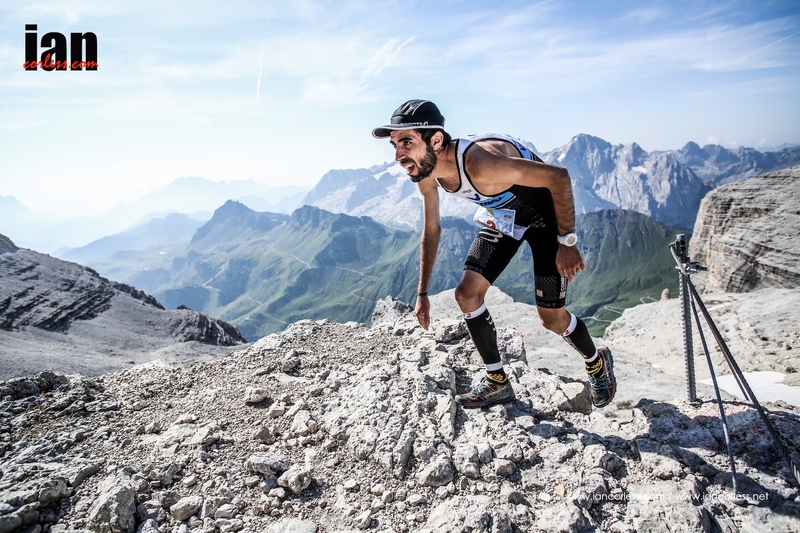 Manuel Merillas is hot property at the moment and after strong performances in the Skyrunner® World Series, his presence at Limone adds an exciting element to proceedings. 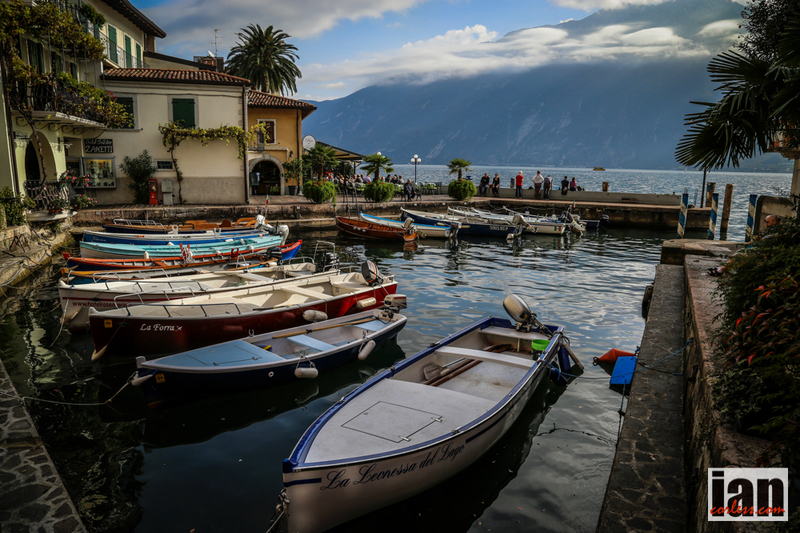 Recent top-3 performances at Trofeo Kima and The Rut add weight to a very strong case that we see a surprise on the shores of Lake Garda. 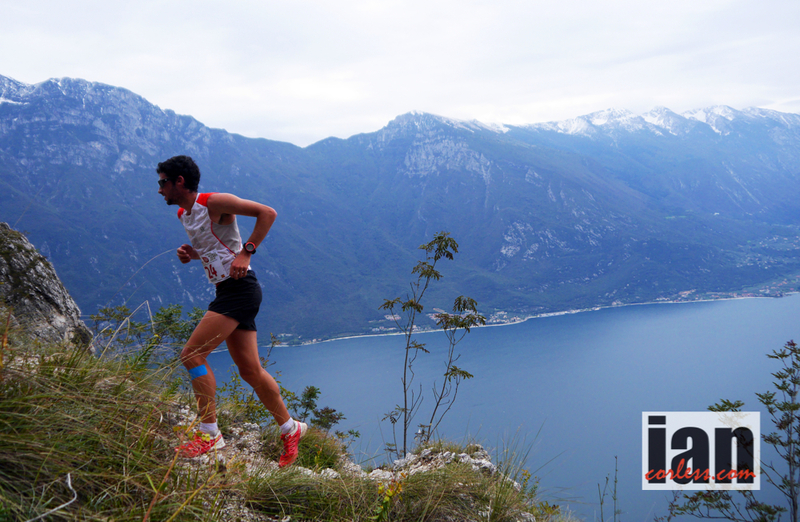 Ionut Zinca had a great result at Limone last year and recently placed well, once again at Dolomites Skyrace. 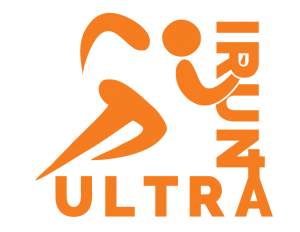 I would anticipate Ionut having a great race, he’s a fierce competitor and top performer. 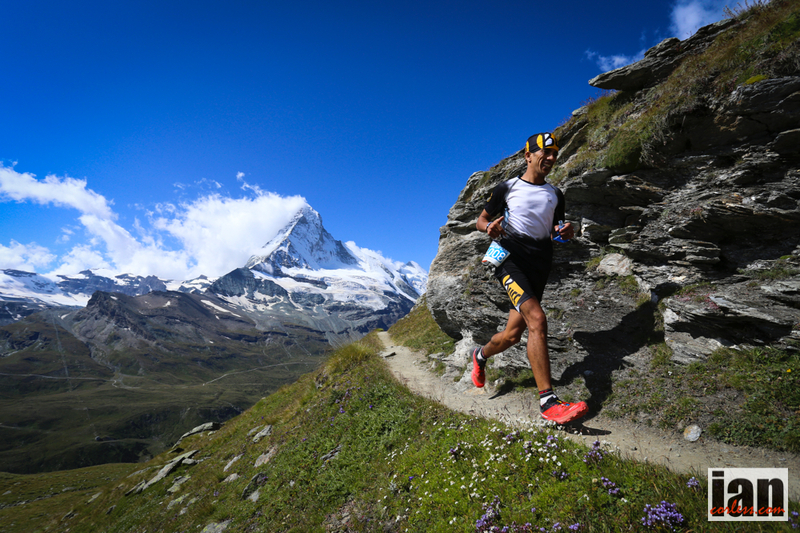 Zaid Ait Malek won the Matterhorn Ultraks and is without doubt a contender for the podium at Limone. 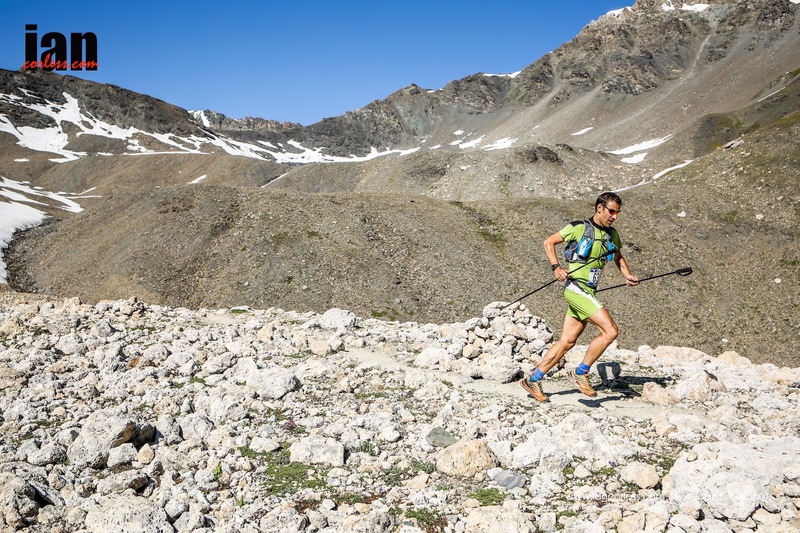 However, Aritz Egea has performed consistently all year and at just under 24km’s, the Limone course plays to his strengths. 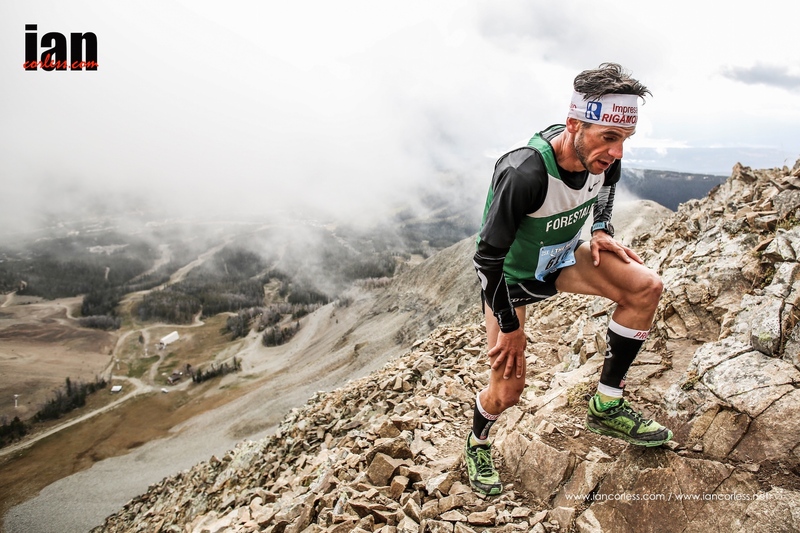 Michel Lanne had a great run at the Skyrunning World Championships and a glimmer of that strength will intimidate the competition. Alex Nichols is one again making the long journey from the USA and has great potential to mix it with the best, however, 2014 has been a tough year and his current form is unknown. 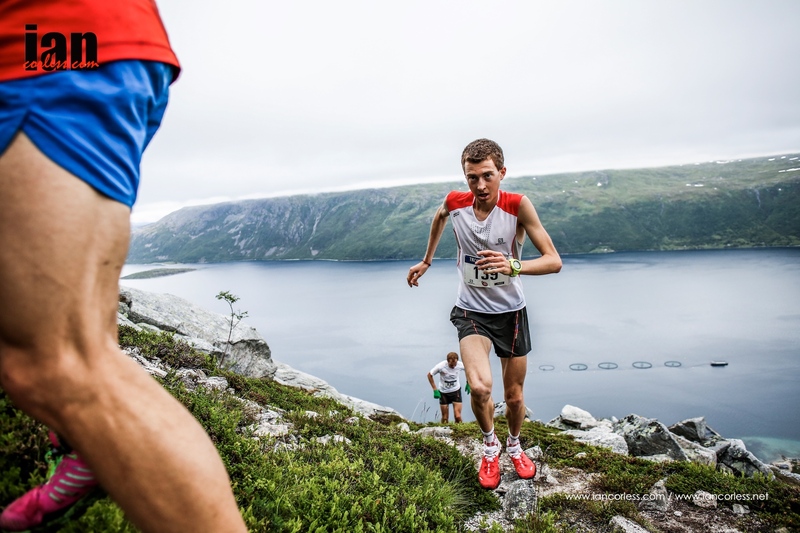 Tadei Pivk will also be a hot contender for the top-5. Did we say THIS FIELD IS STACKED…. ! 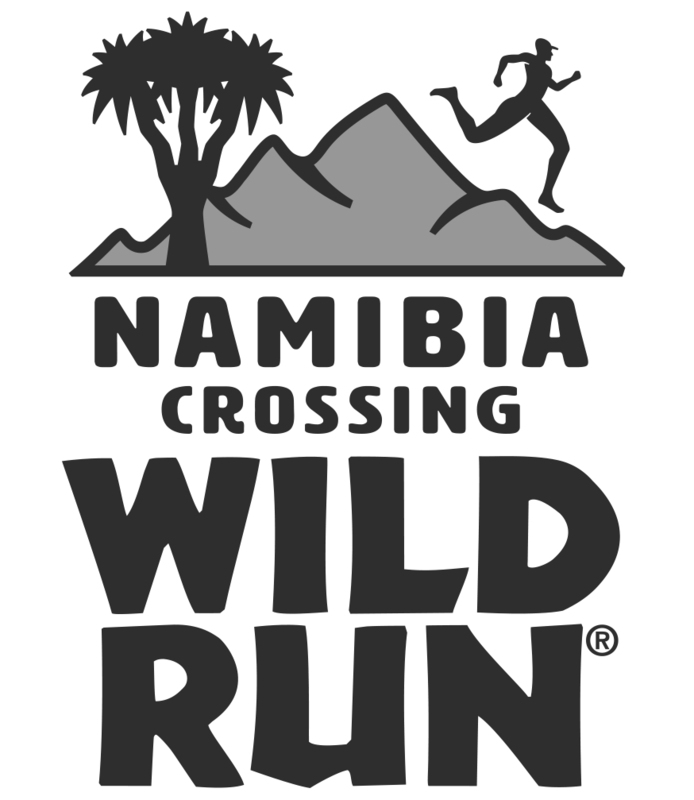 Rounding out the hot contenders for the top-5 places are Jono Wyatt, Alexis Sevennec, Thorbjorn Ludvigsen, David Schneider and Nicola Golinelli. 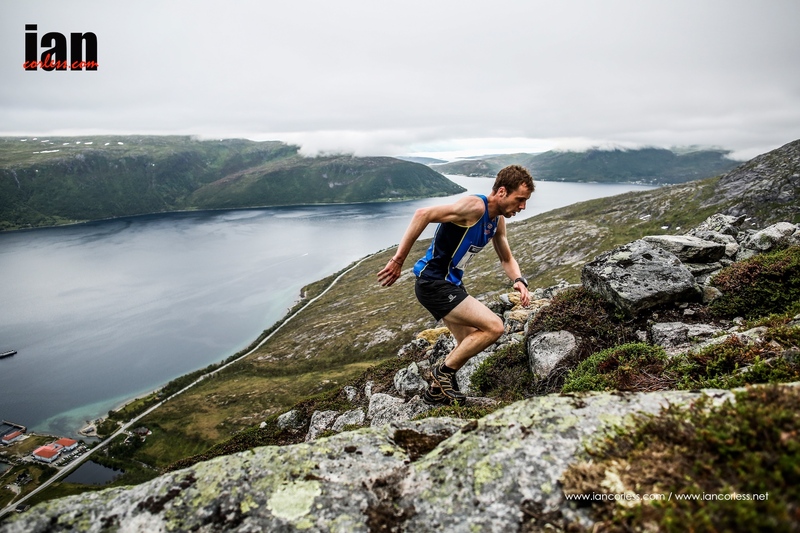 Stevie Kremer already has the 2014 Skyrunner® World Series sewn up, so, this will take the pressure off and allow Stevie a trouble and stress free run. As we all know though, she probably will still nail it and has every chance of taking away the victory. 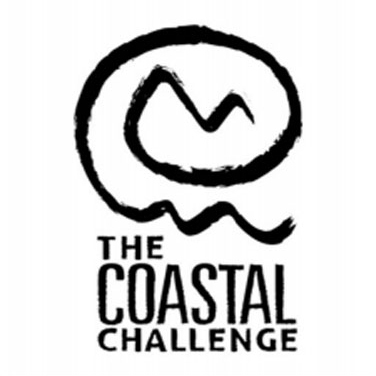 Elisa Desco, Emelie Forsberg and Laura Orgue will do everything in their respective powers to ensure that Stevie does not have another victory. 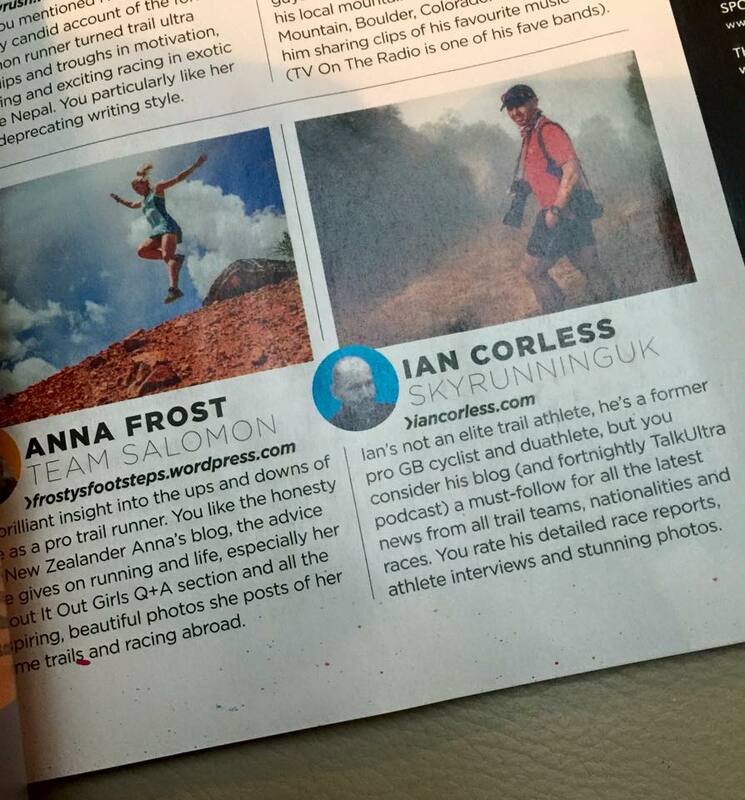 In all honesty, the ladies race is wide open. 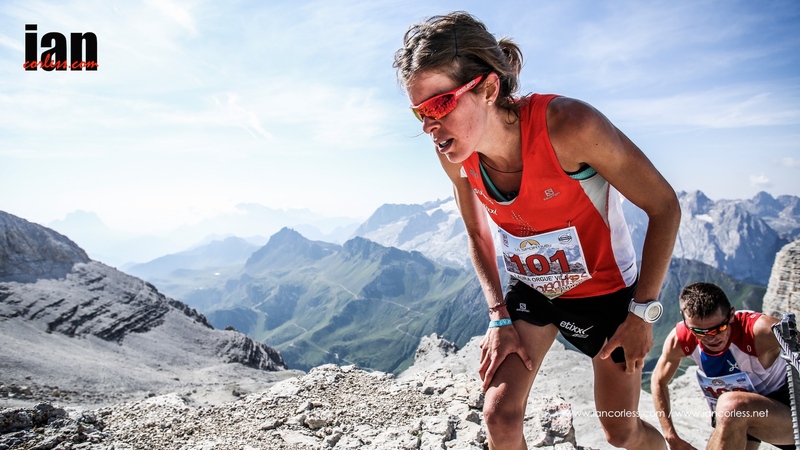 Laura Orgue has displayed pure class going up hill and certainly, the first half of the Limone course will suit her racing style. 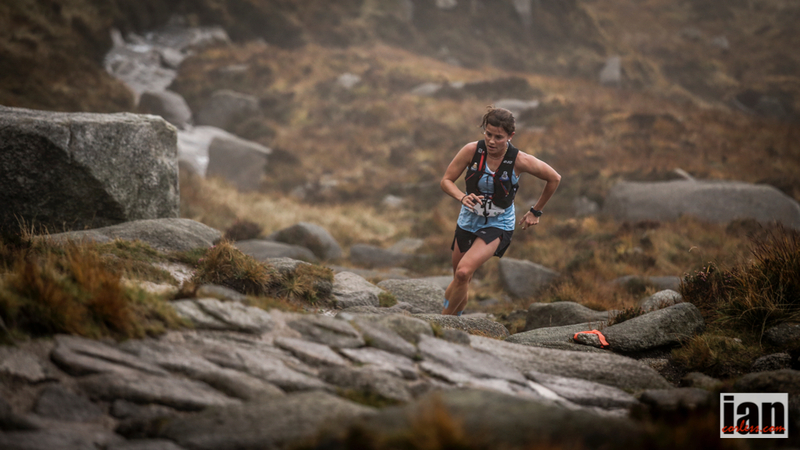 I expect to see Laura to be leading at the summit; the question will come if she can hold of the charging train of Forsberg, Desco and Kremer. 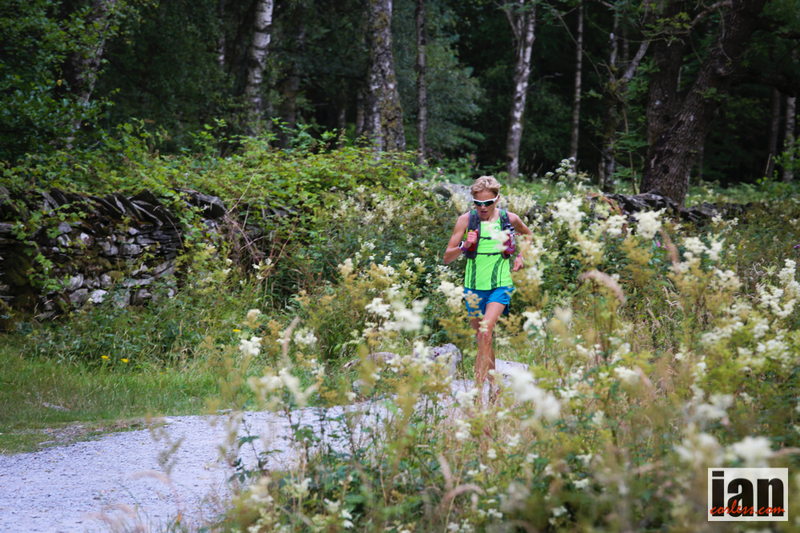 Very few ladies can go downhill like Emelie Forsberg and if she is in contact during the 2nd half of the race, Emelie will potentially take top honours. 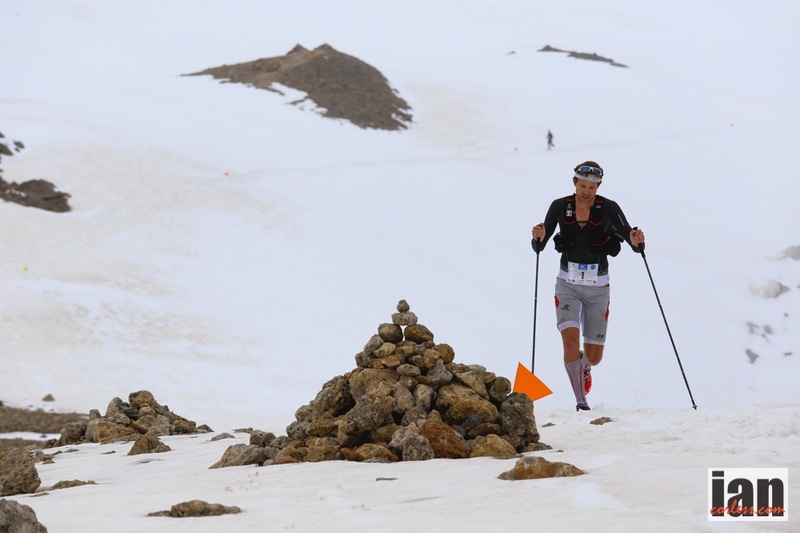 Elisa Desco is a very rounded athlete uphill and downhill, at 23.5kms the distance will suit the Italian and with valuable points at stake, we can expect a 100% committed effort for victory. 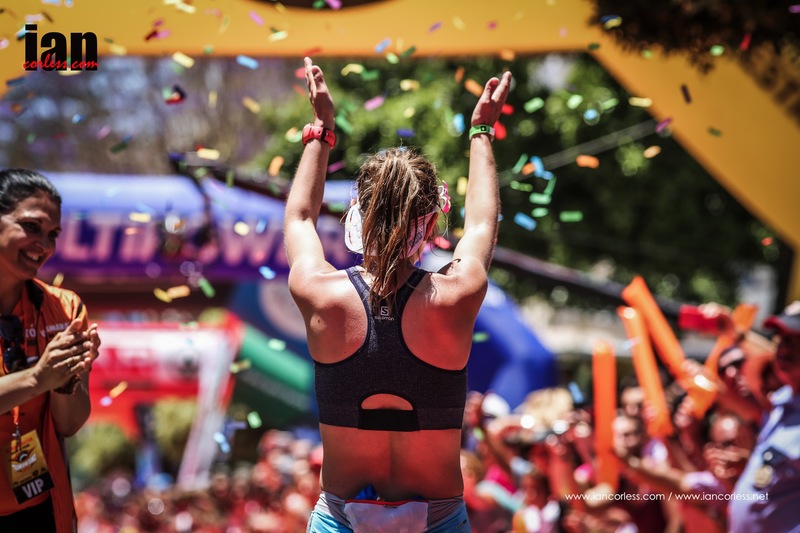 Maite Maiora started the year with a bang at Transvulcania and has continued to bang the drum all the way throughout 2014. For sure, Maite stepped up a level this year and along with Desco, Forsberg and Kremer, she has been a force to be reckoned with. The podium is a distinct possibility but it’s going to be a battle. 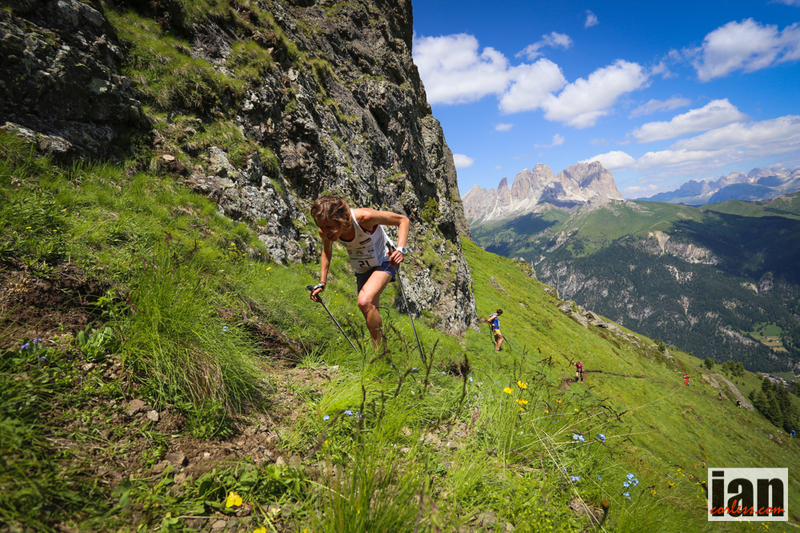 Victoria Wilkinson had a great race at the Dolomites Skyrace and has continued to excel on the UK Fell running scene. The podium may just be out of reach but top-5 is a distinct possibility. 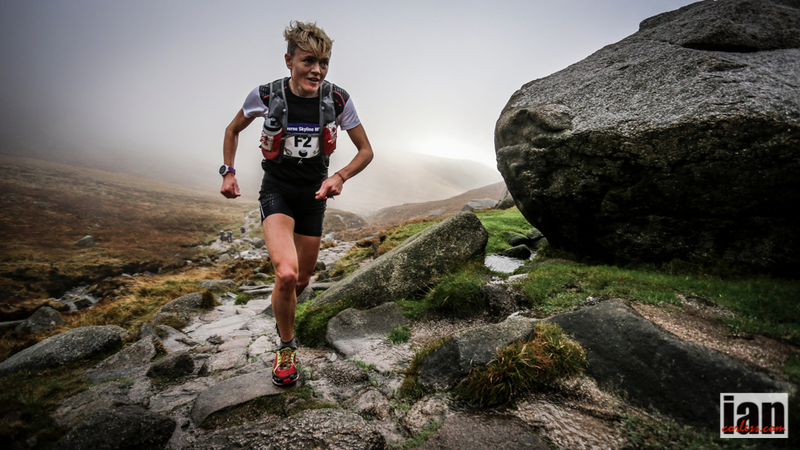 Anna Lupton has been missed in 2014 with injury. 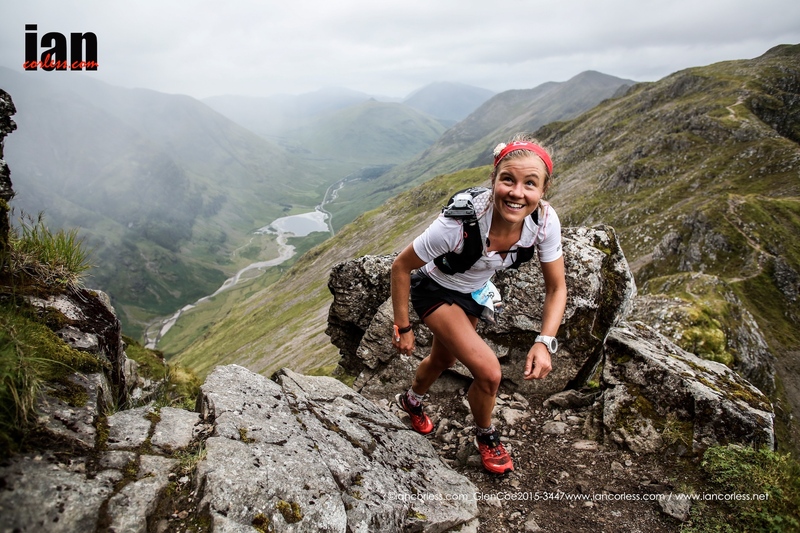 Arguably, Anna has been the UK’s most consistent performer in previous Skyrunning events and it’s great to see her back on a start line. 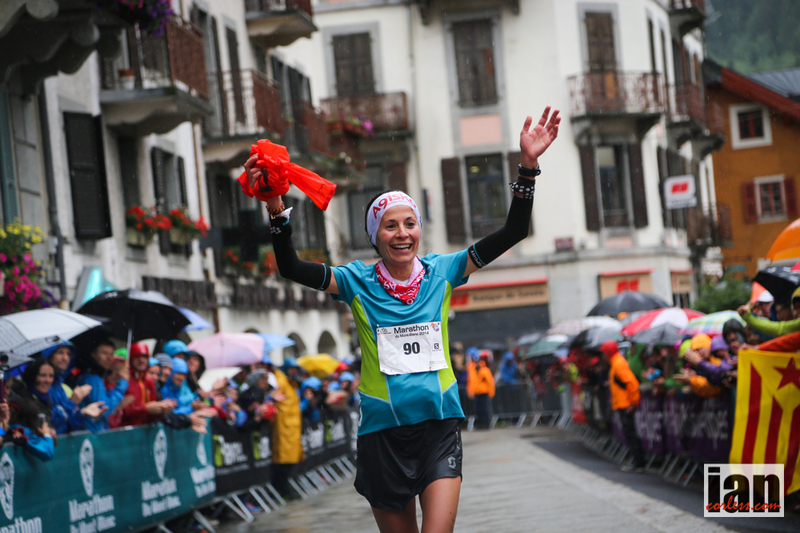 Stephanie Jiminez excels at the Sky distance and Limone will suit the skill set of the Salomon athlete. 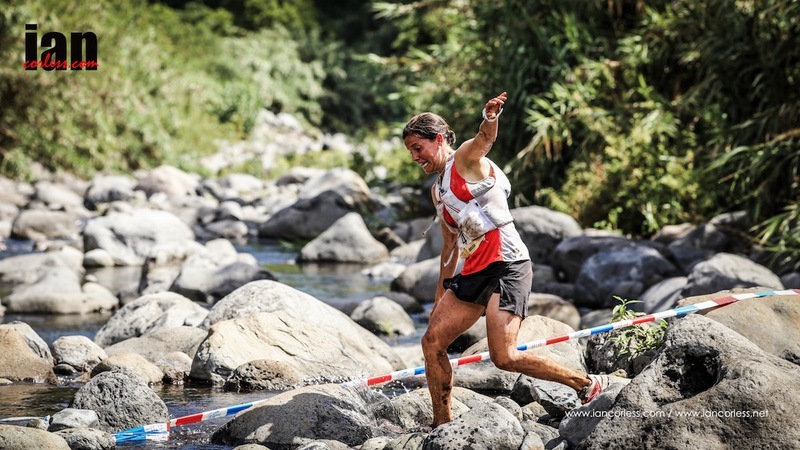 Her experience sets her apart from the competition and on her day, she can beat the best in the world.